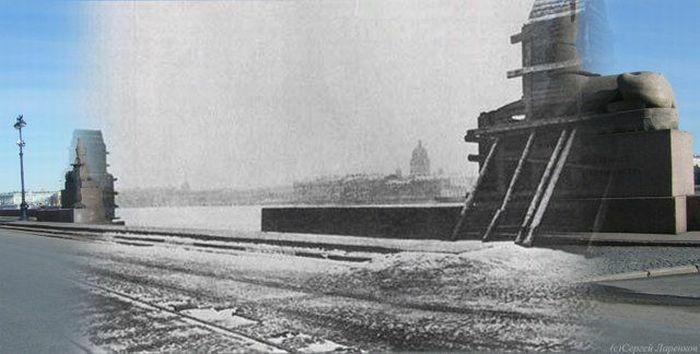 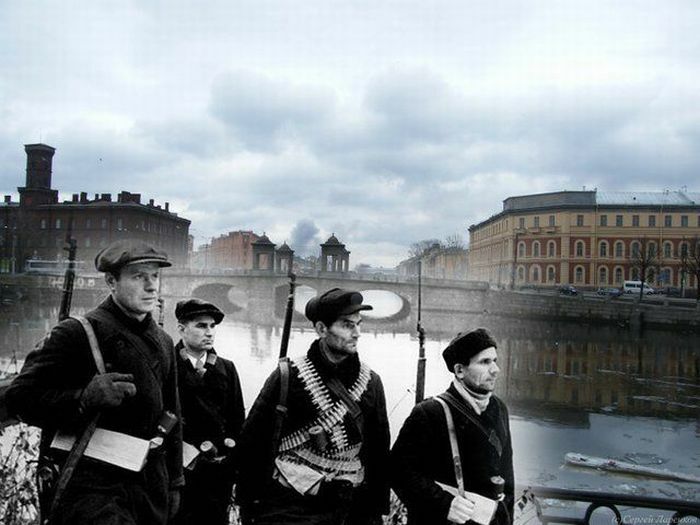 "Then and Now: Leningrad Blockade", series of collages by Sergey Larenkov, now on exhibition in Saint Petersburg. 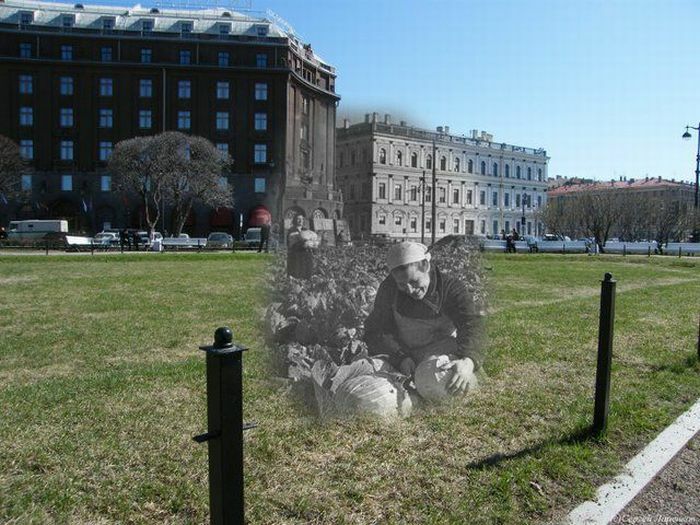 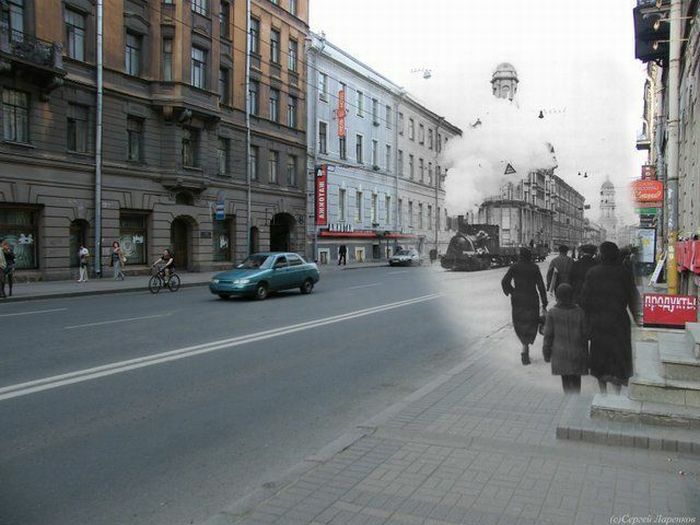 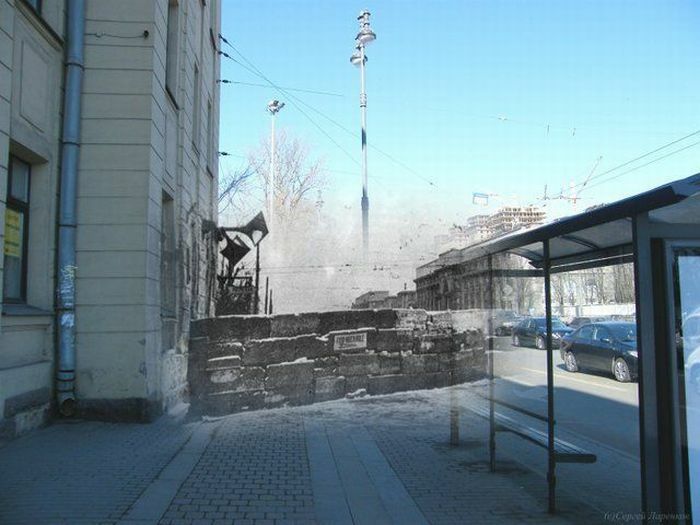 Author researched archive footage, produced during the siege of 1941-1944, recreated exact camera location and angle, made corresponding photos of the modern city, and then combined old and modern photos in one. 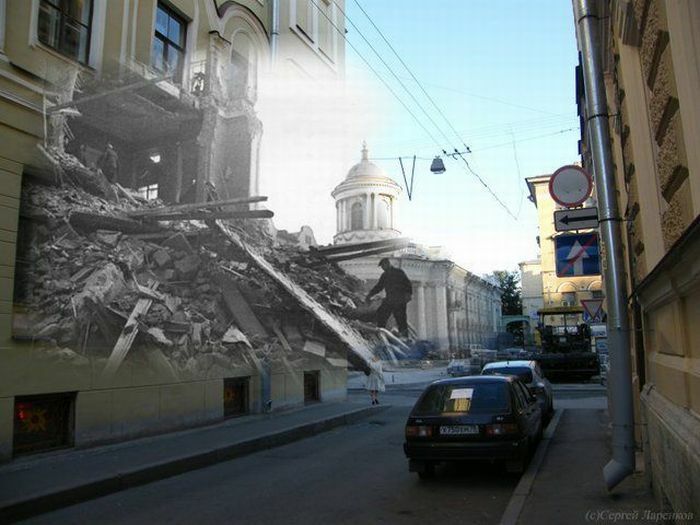 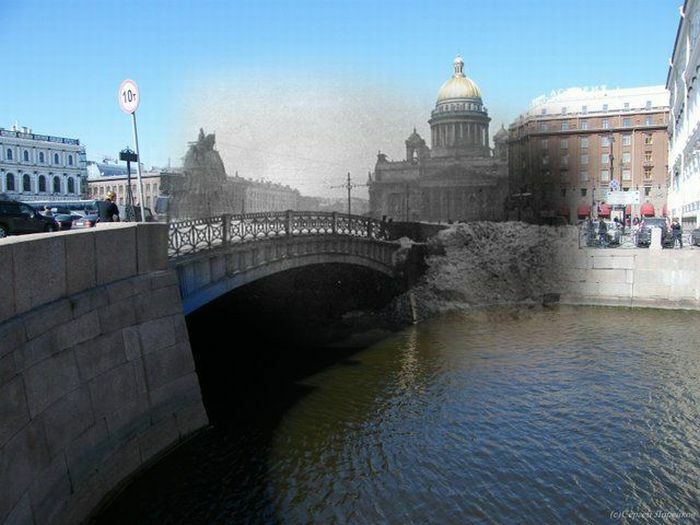 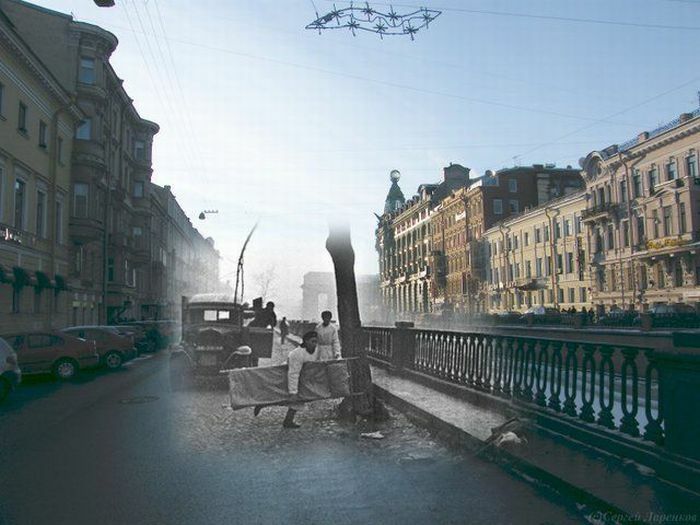 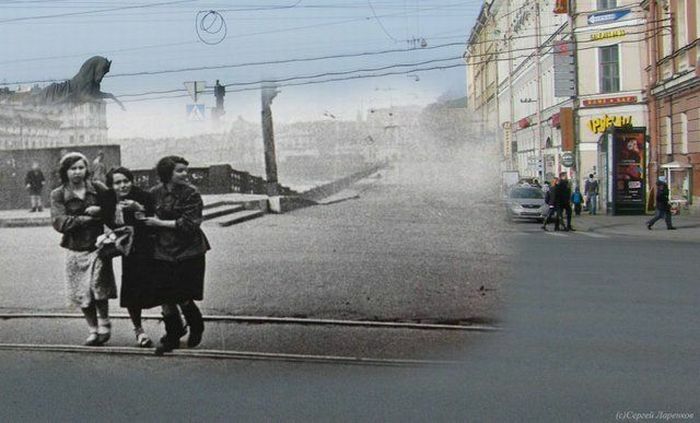 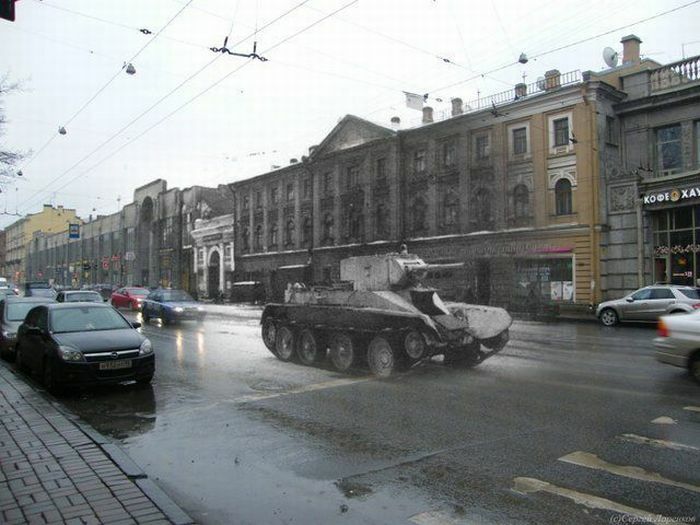 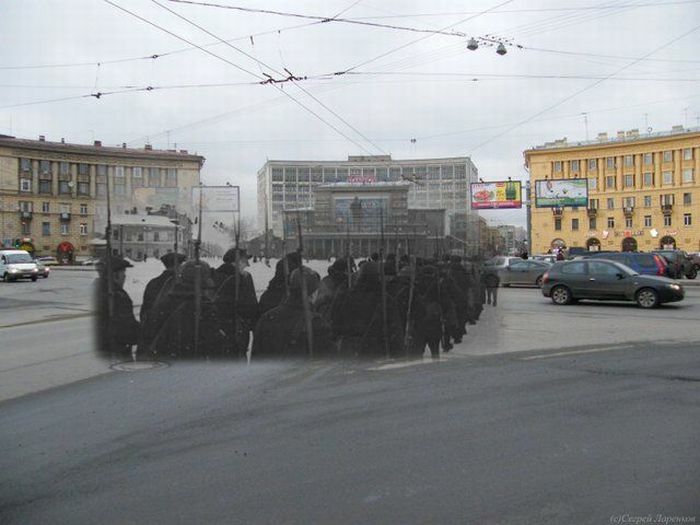 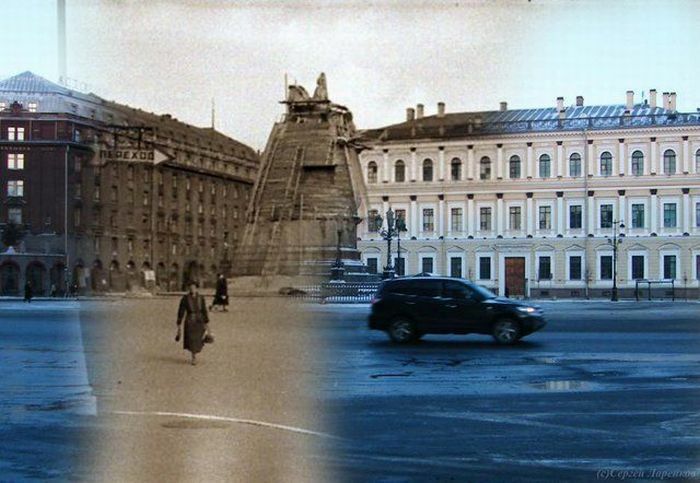 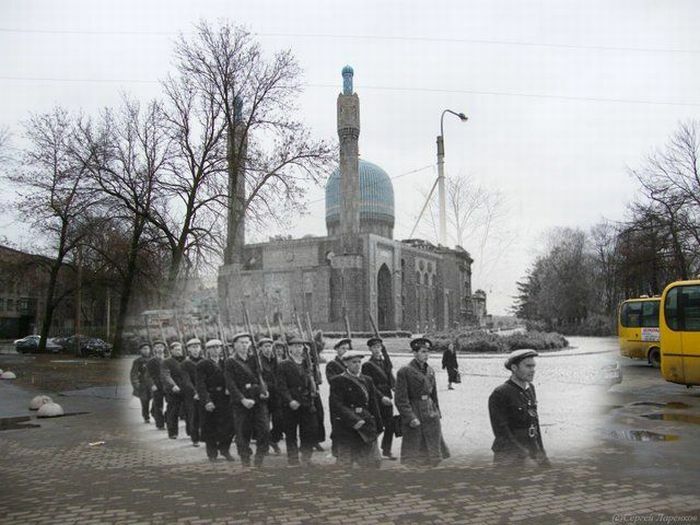 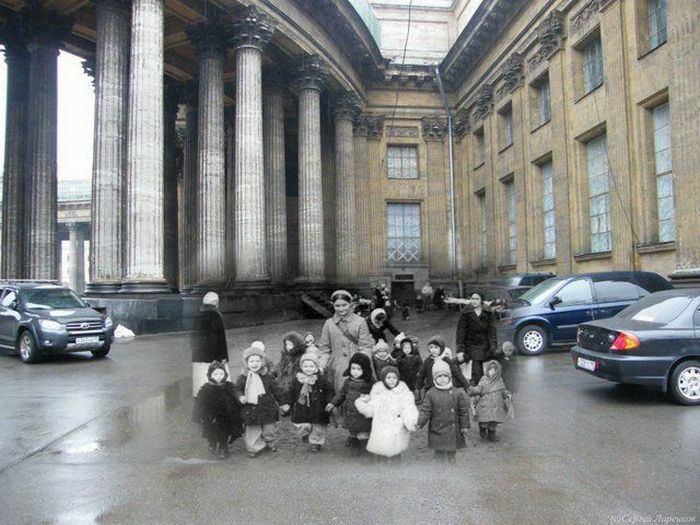 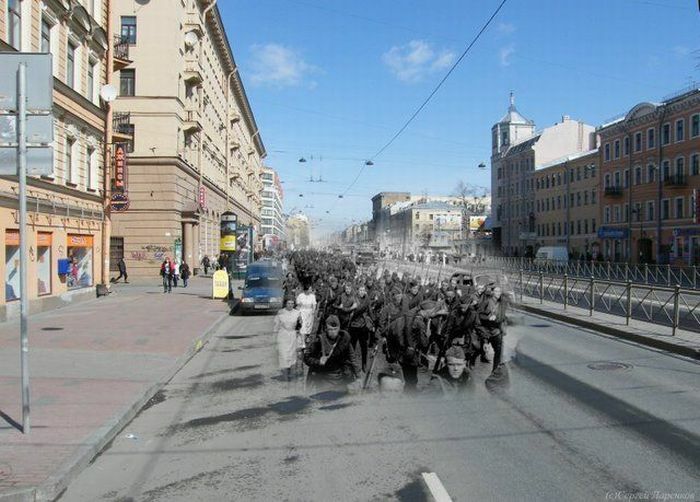 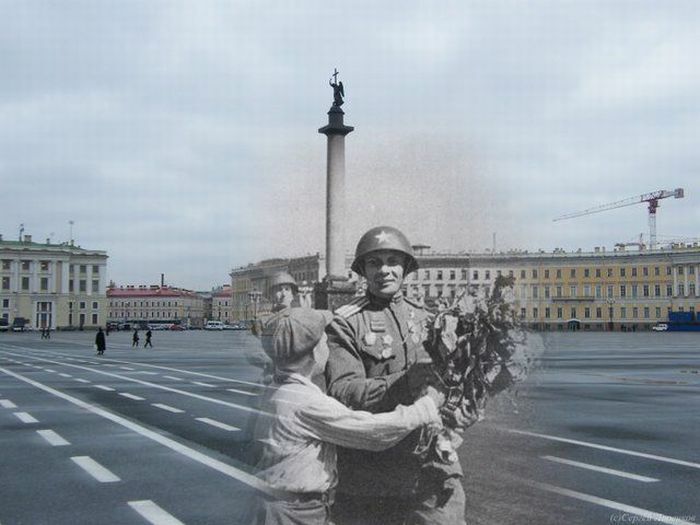 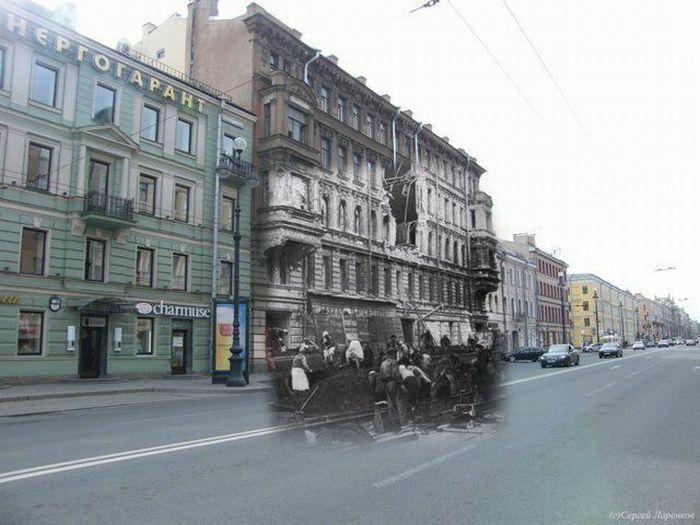 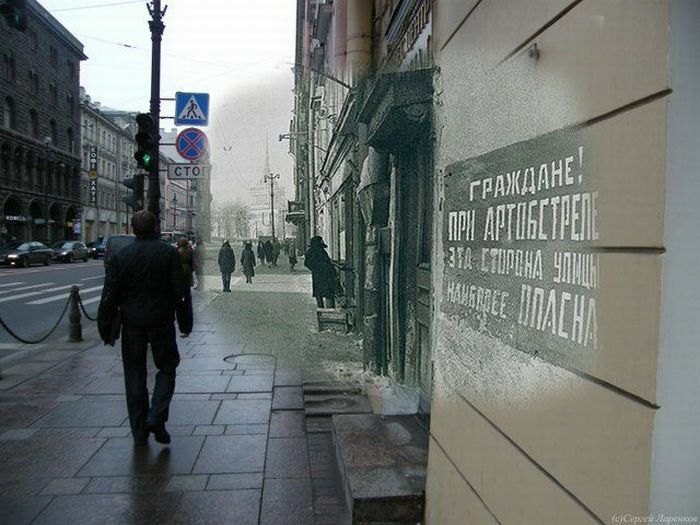 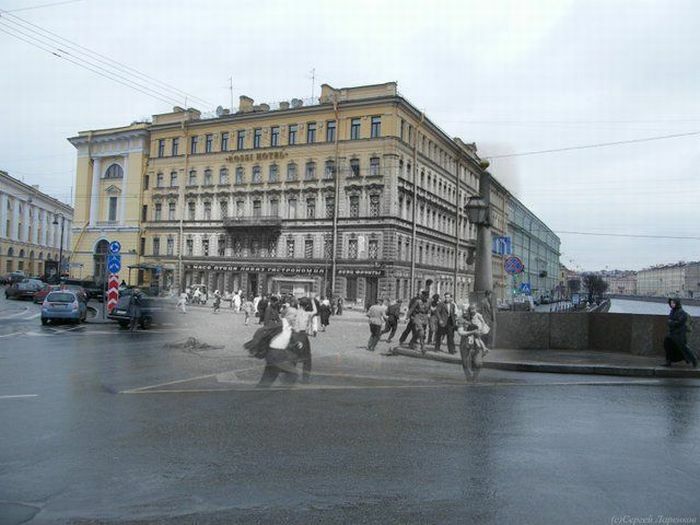 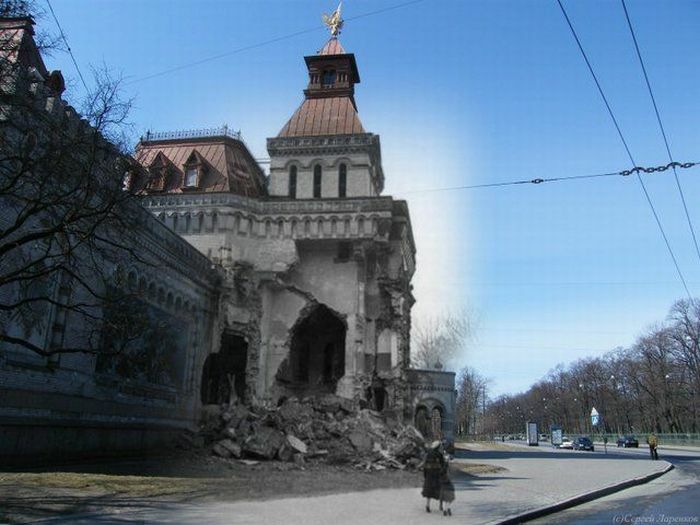 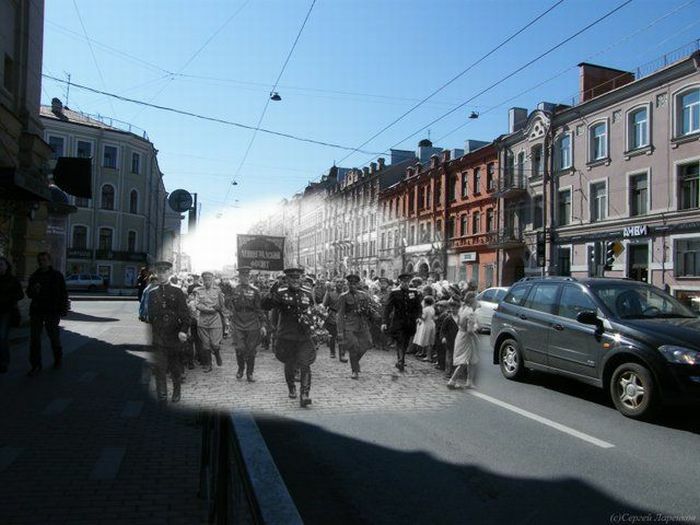 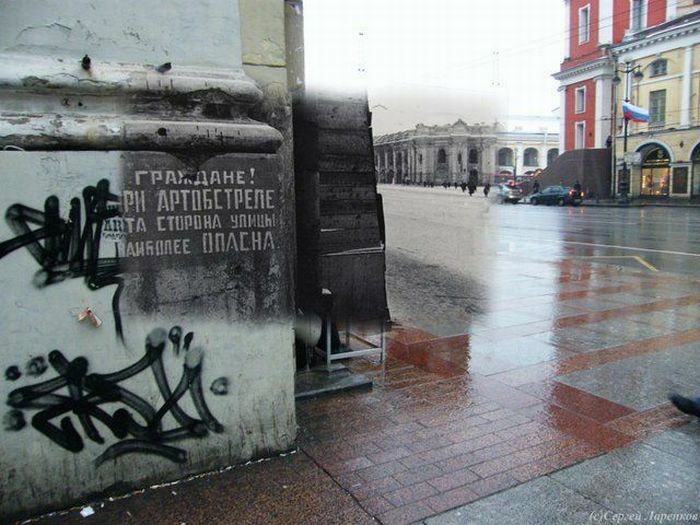 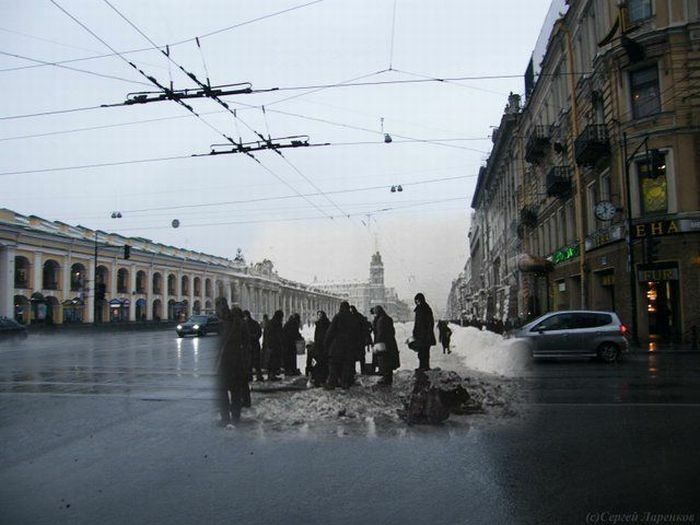 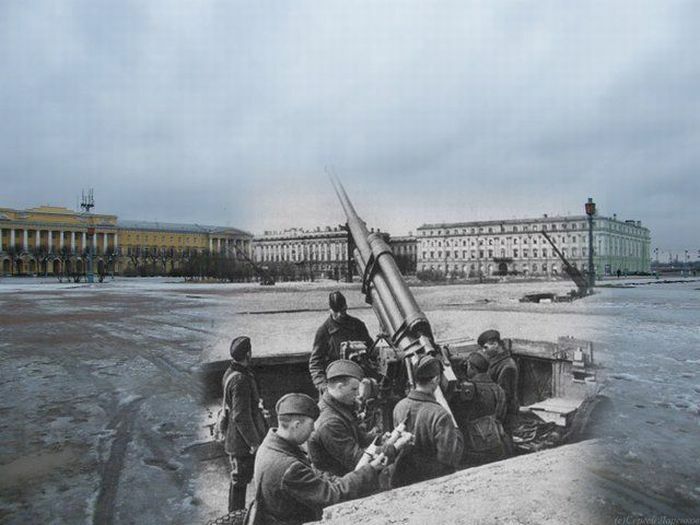 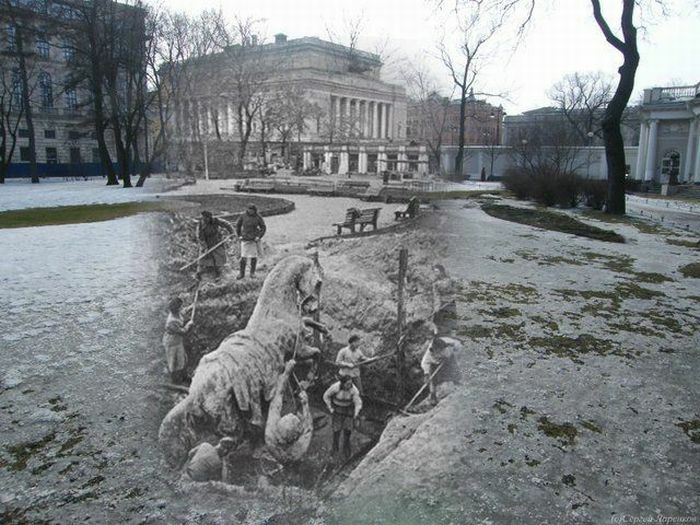 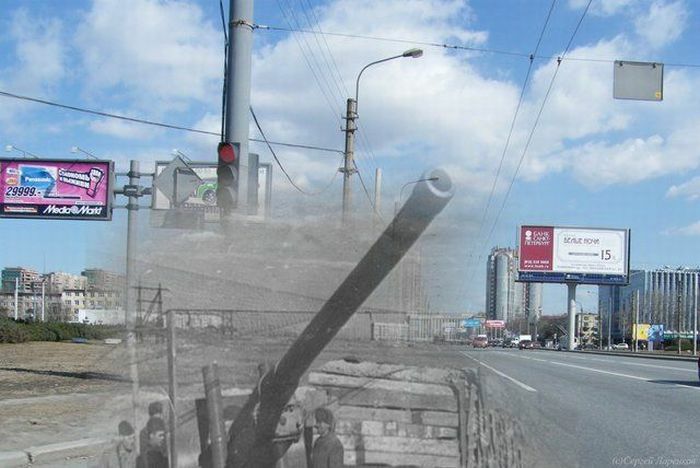 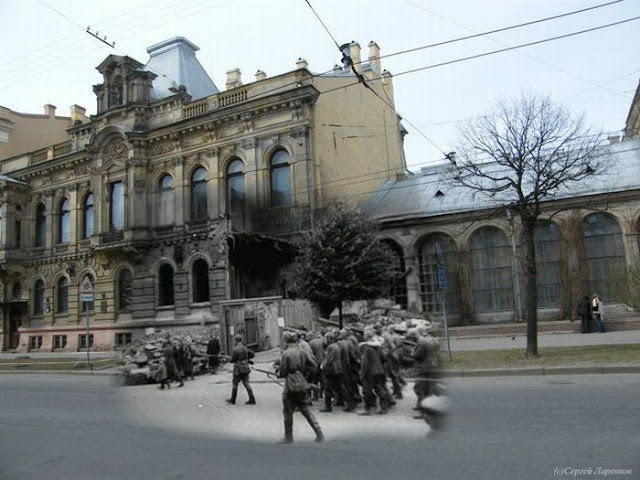 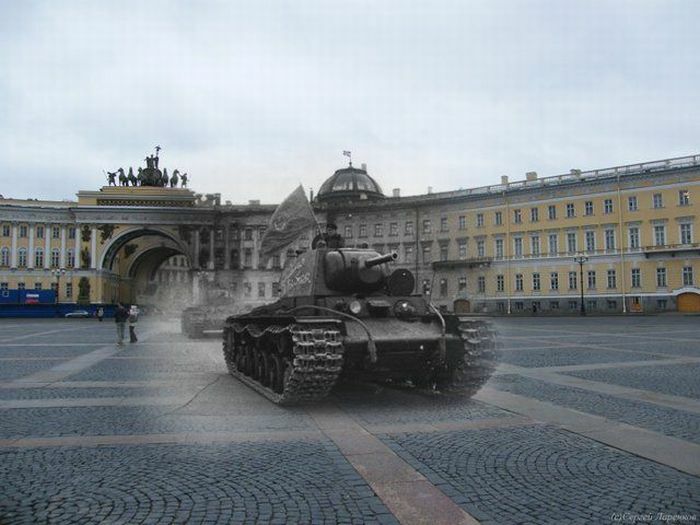 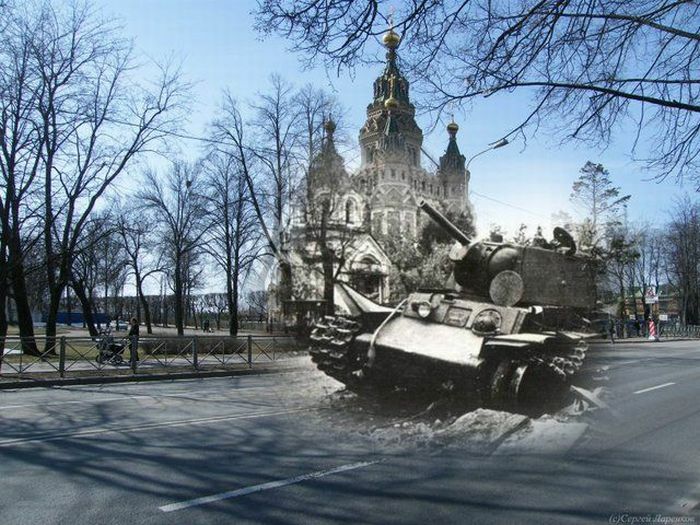 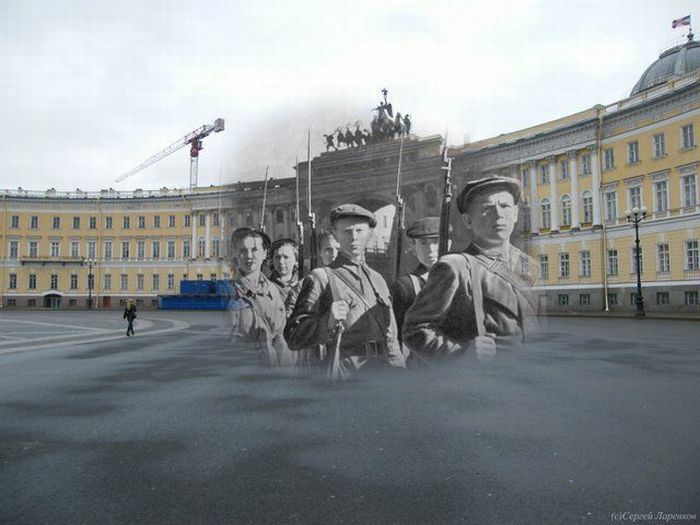 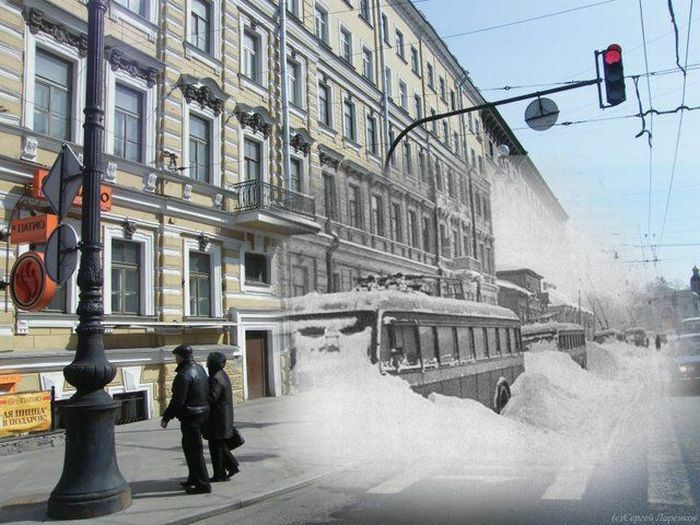 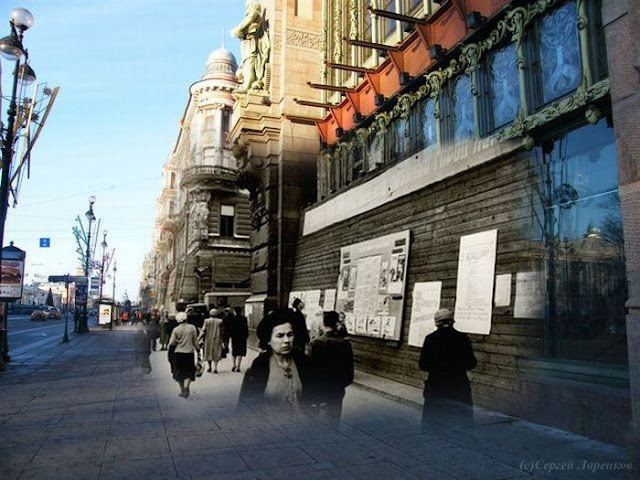 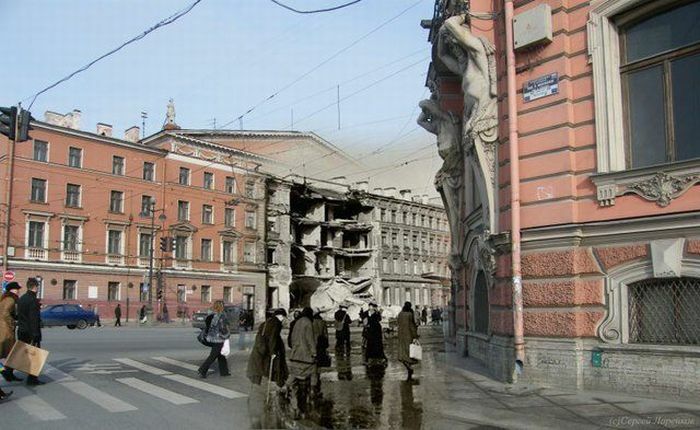 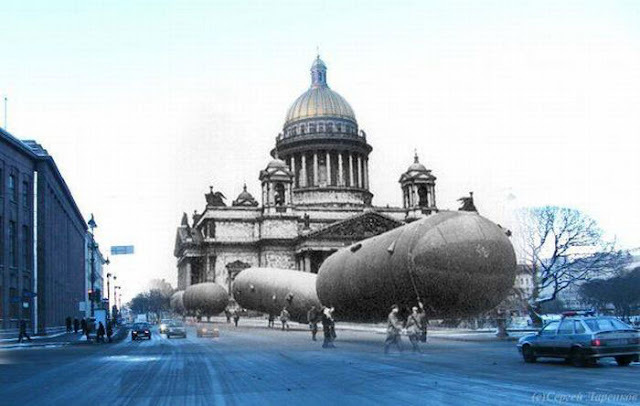 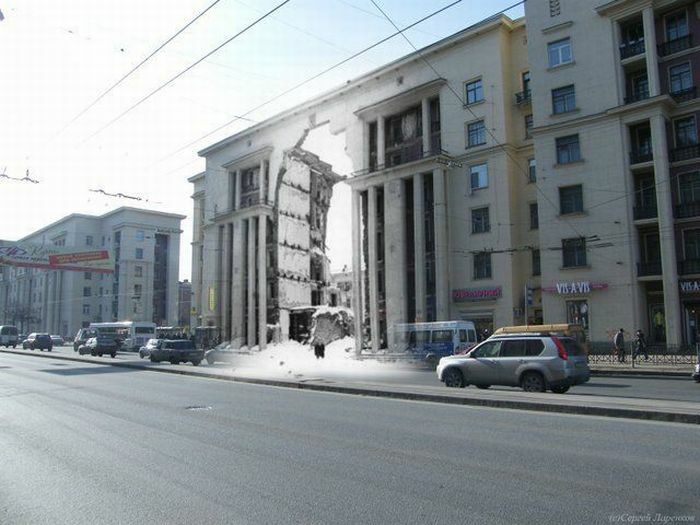 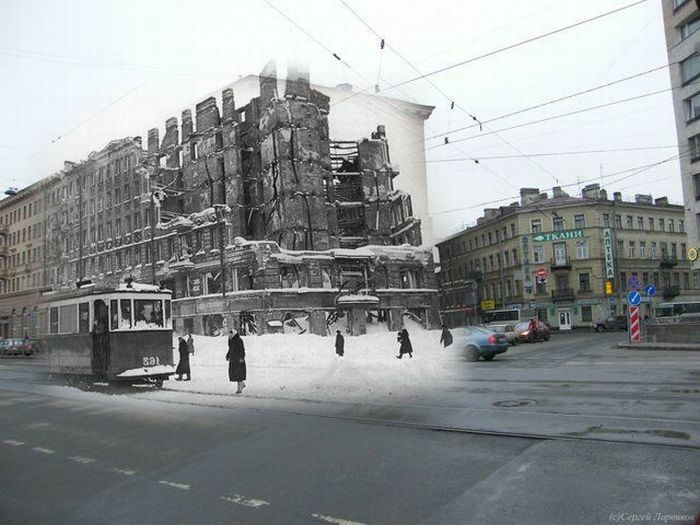 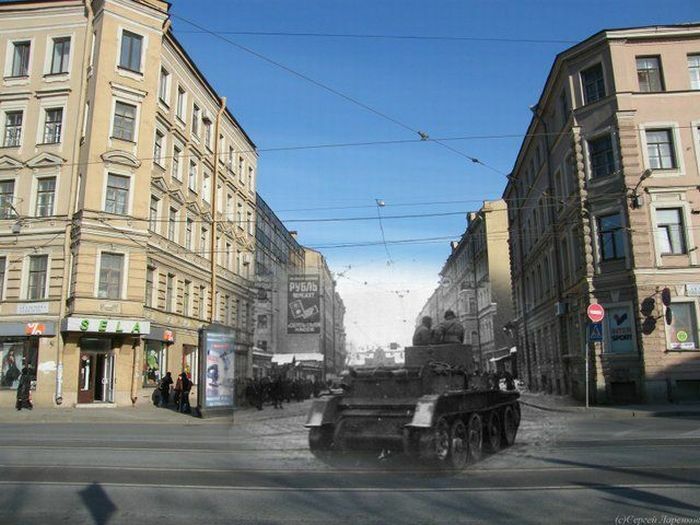 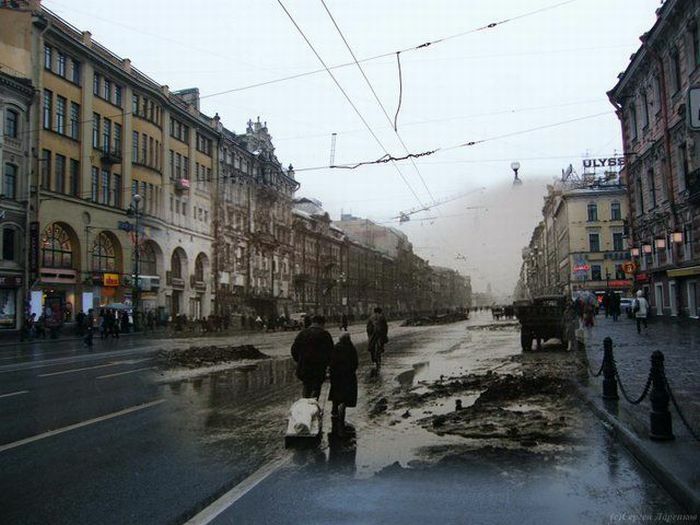 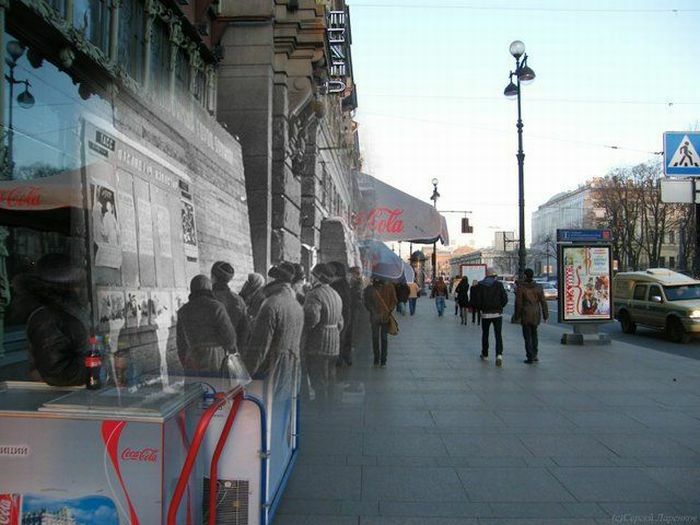 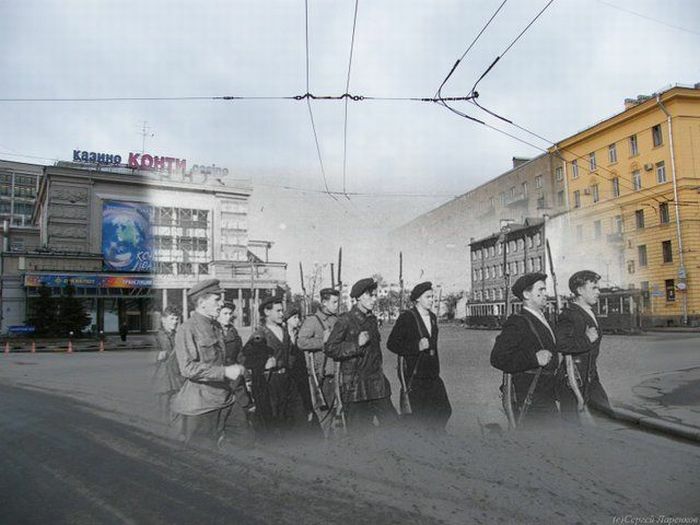 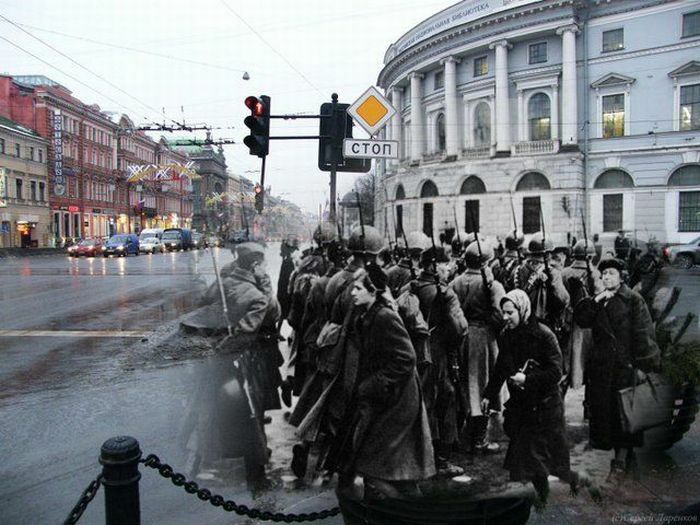 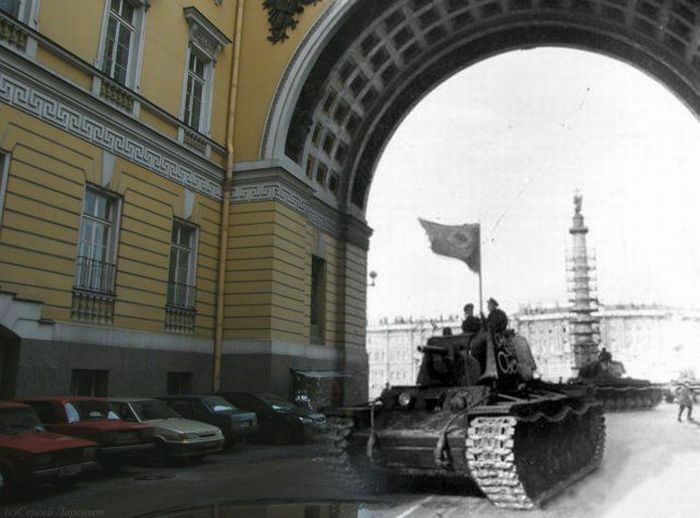 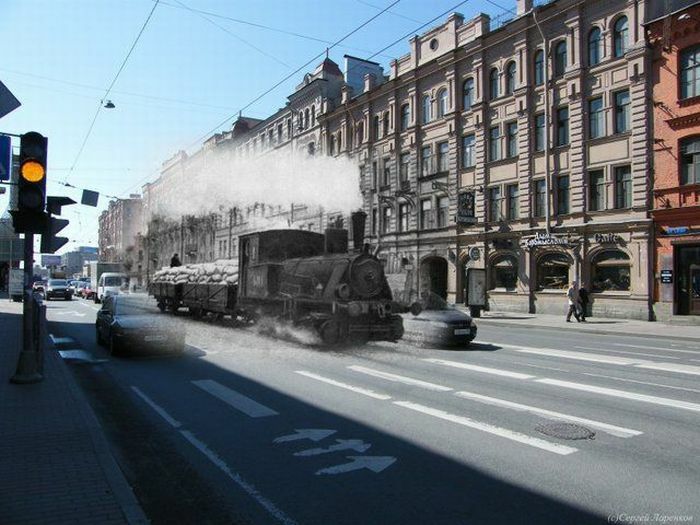 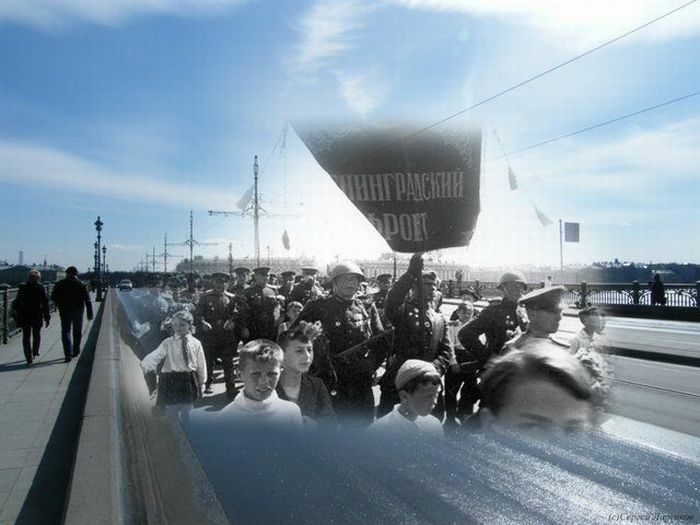 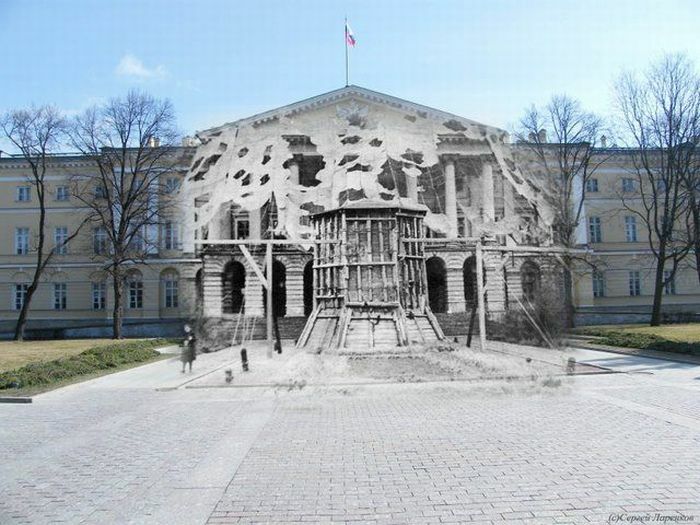 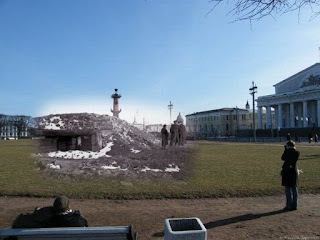 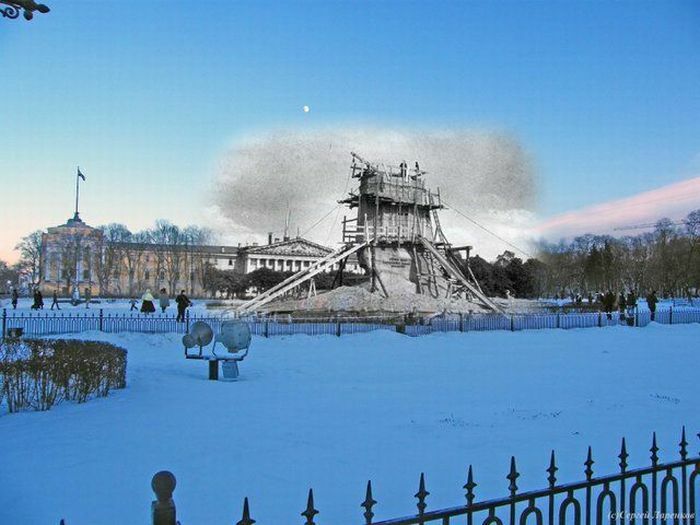 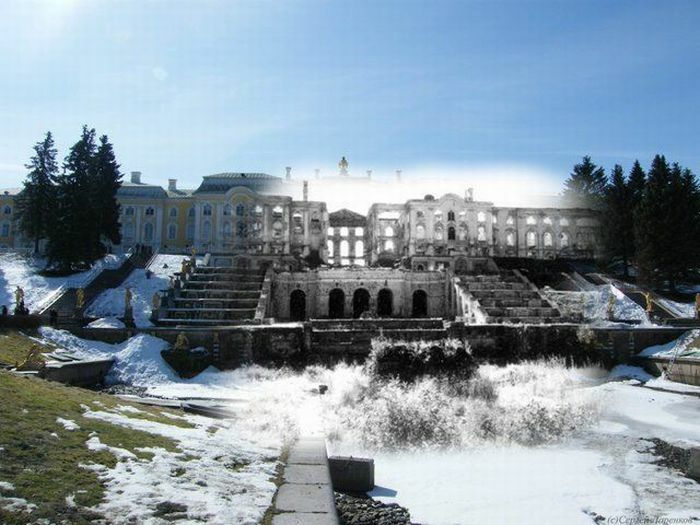 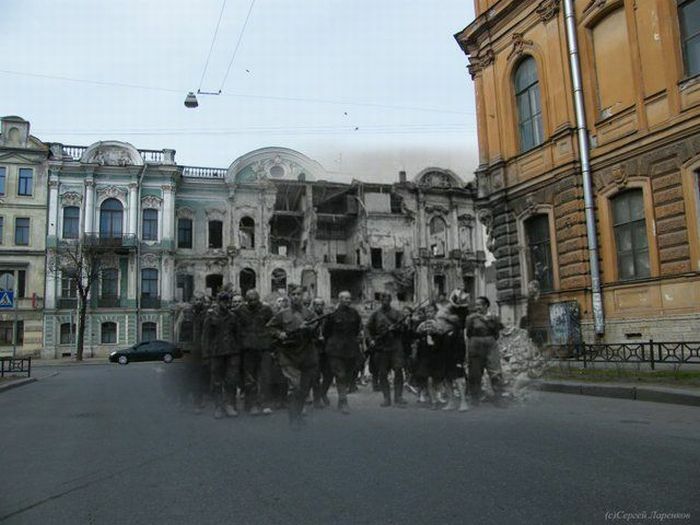 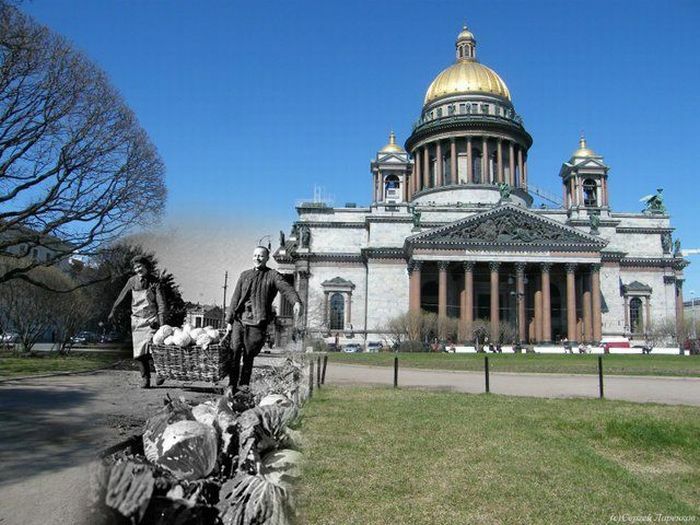 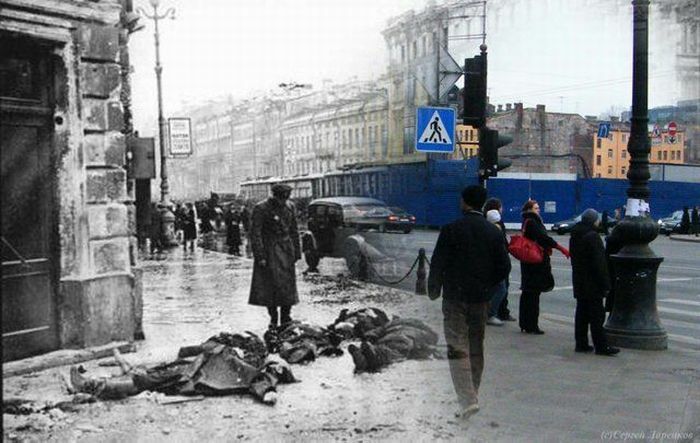 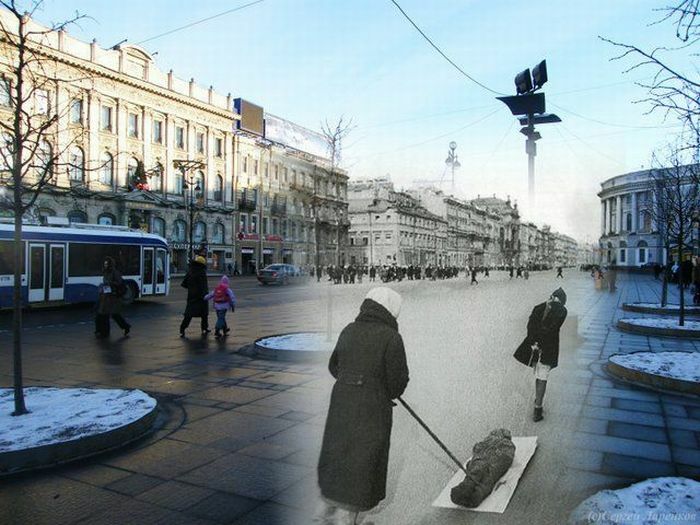 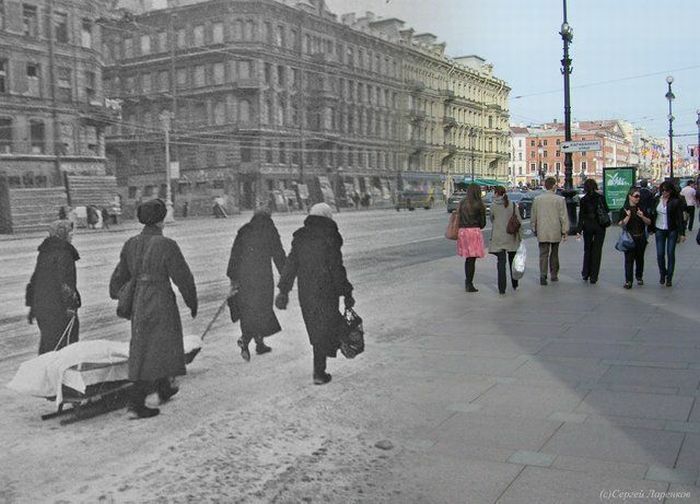 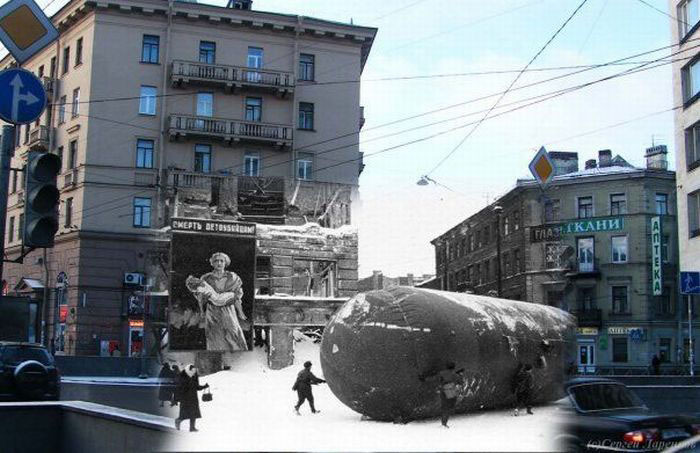 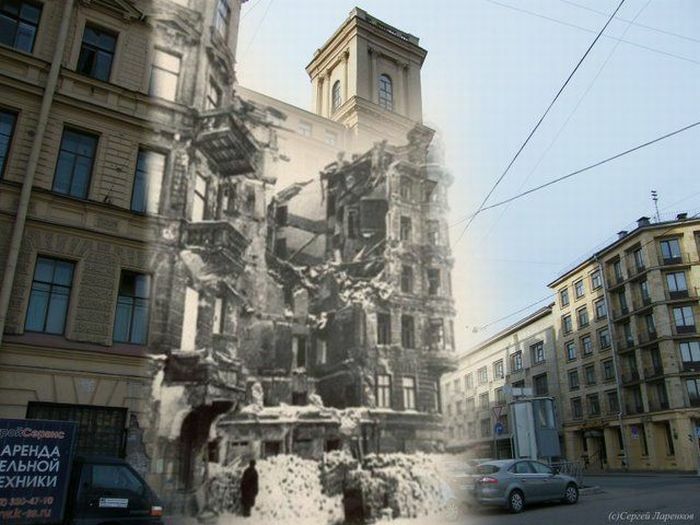 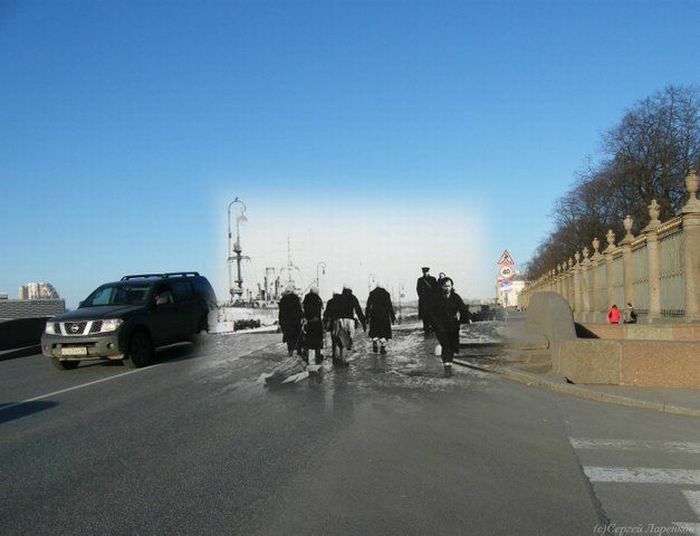 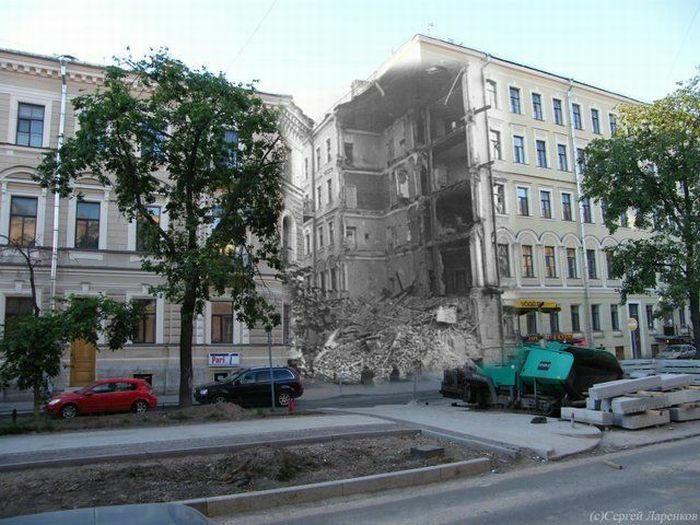 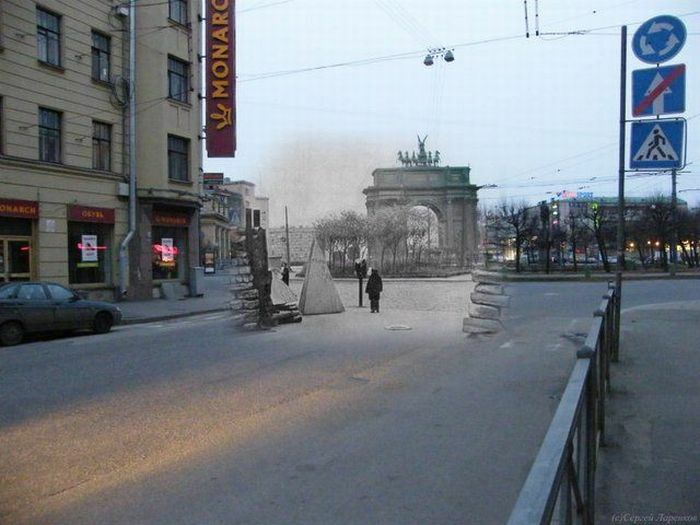 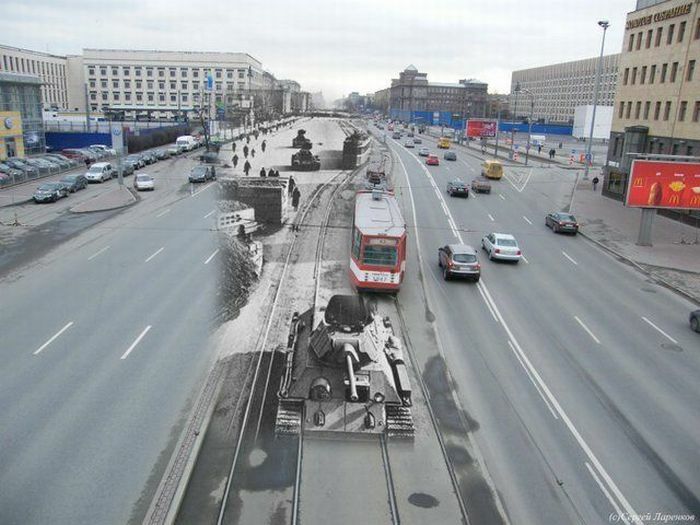 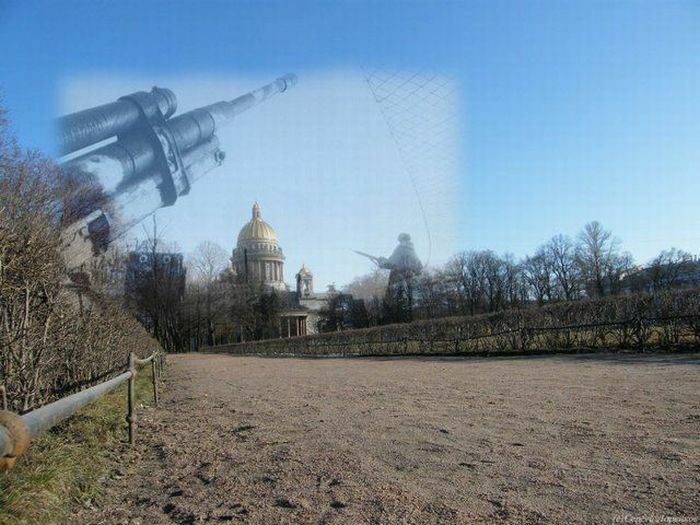 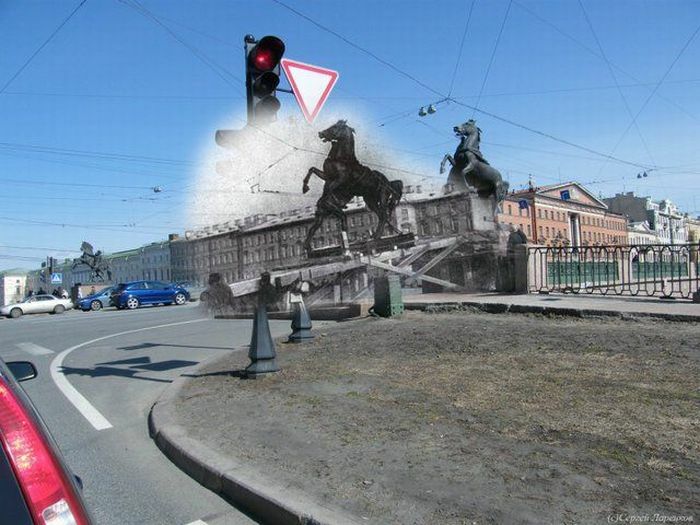 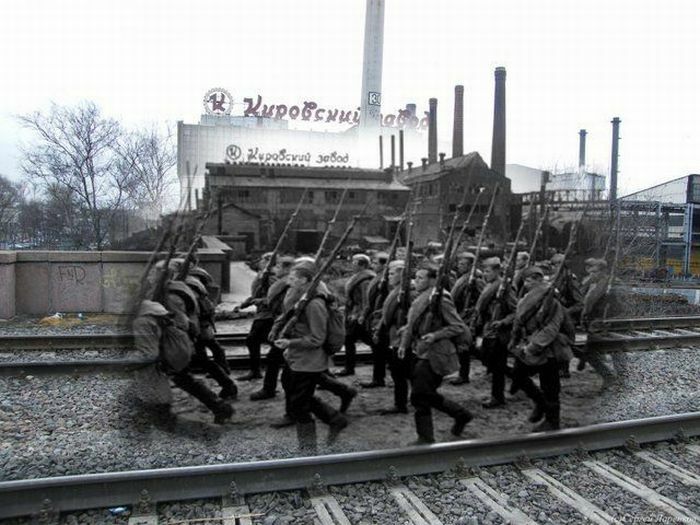 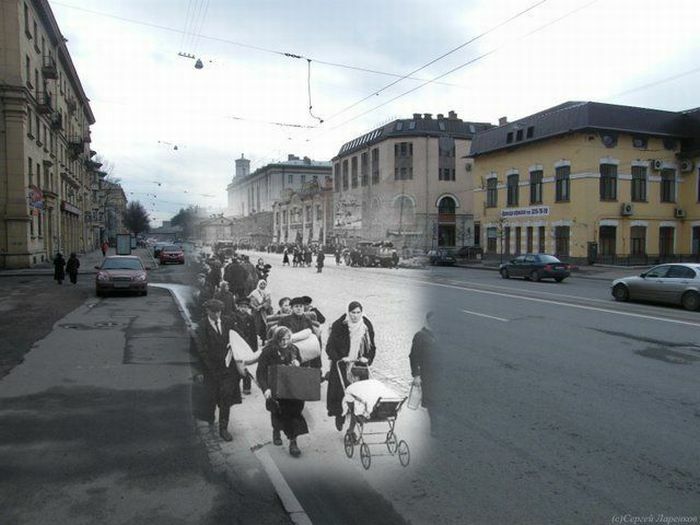 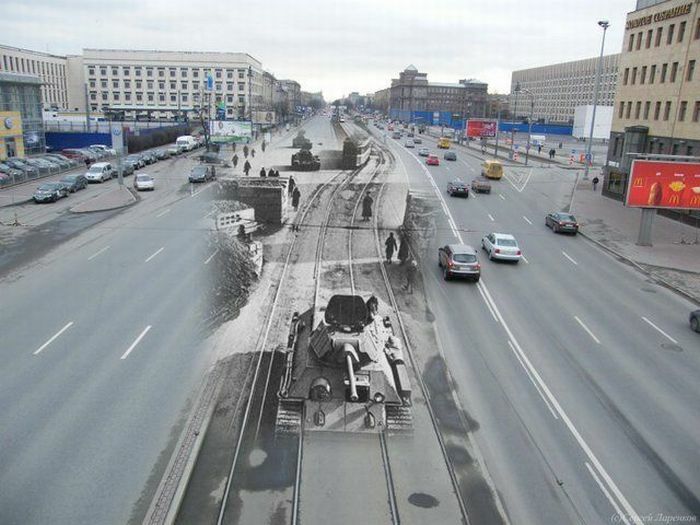 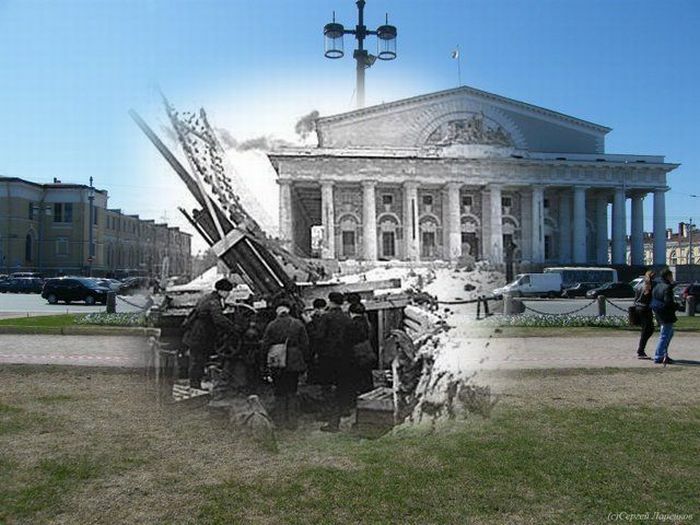 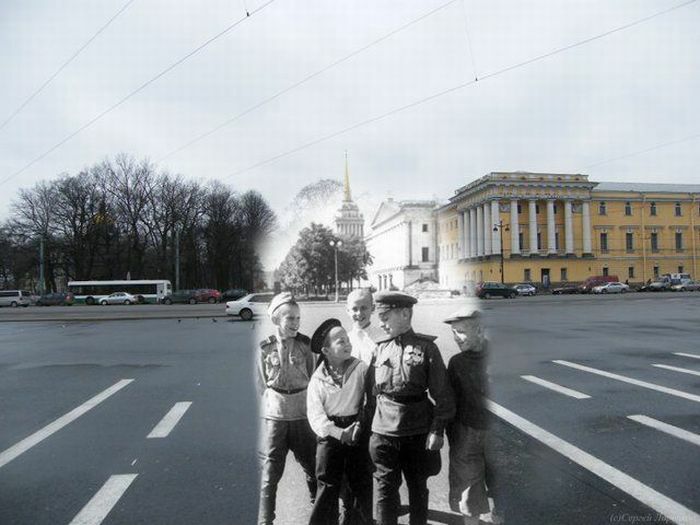 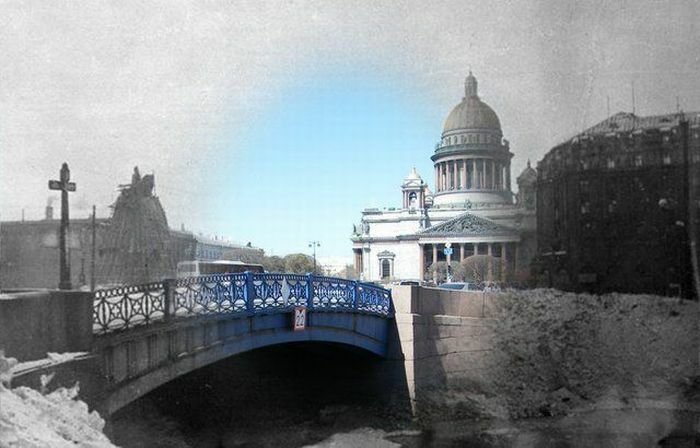 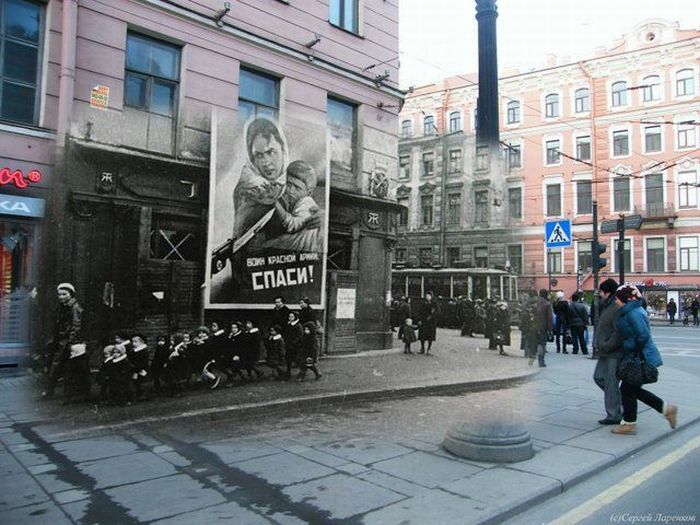 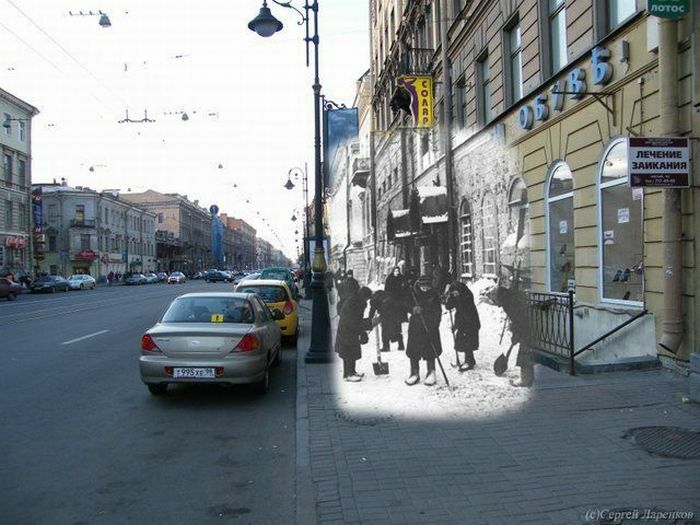 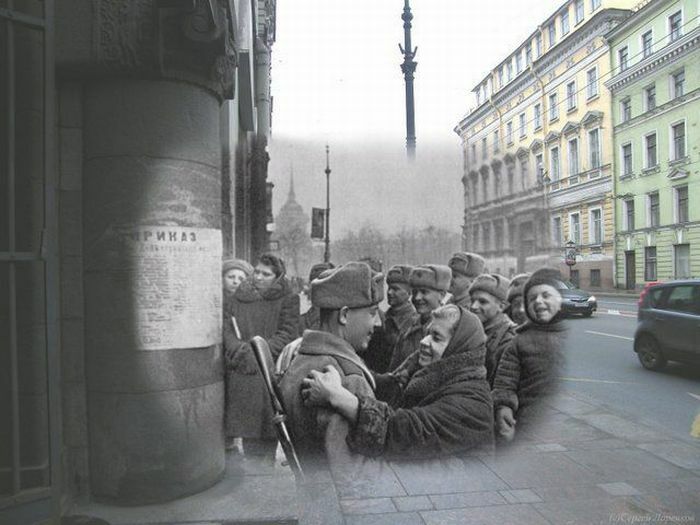 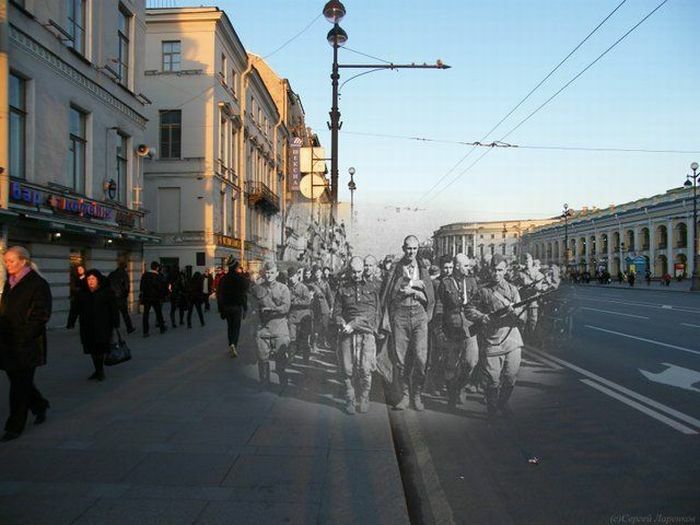 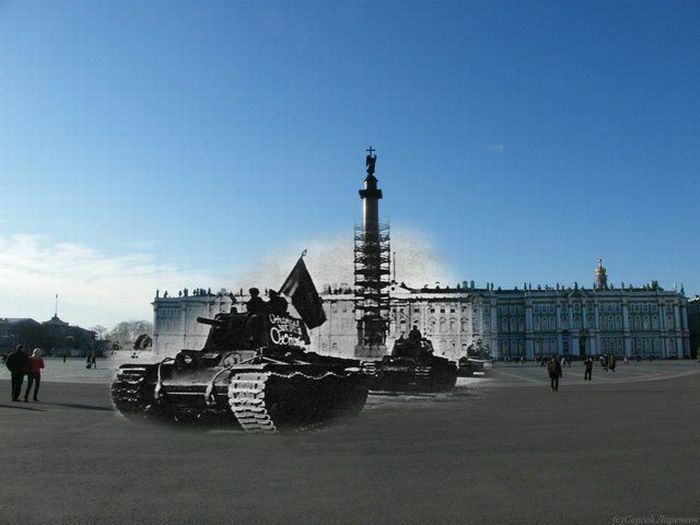 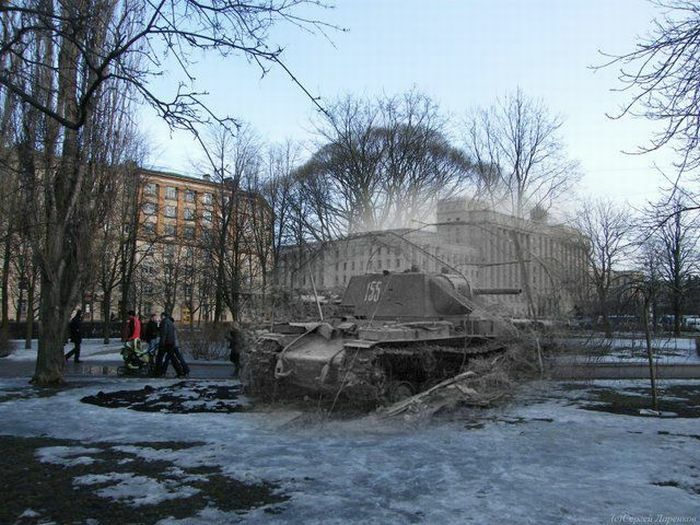 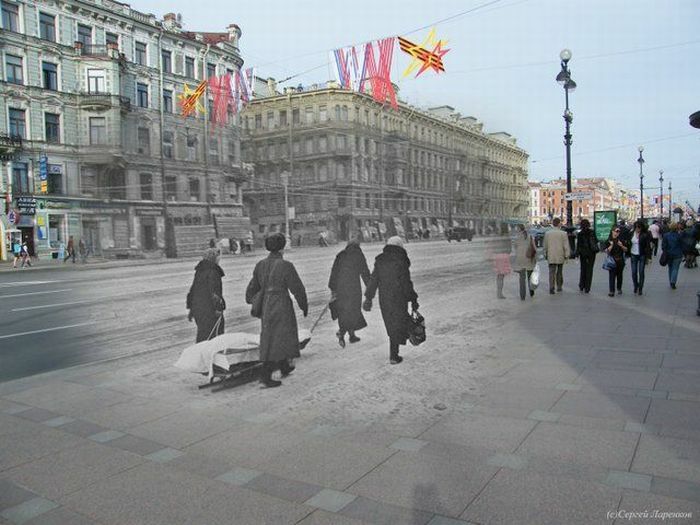 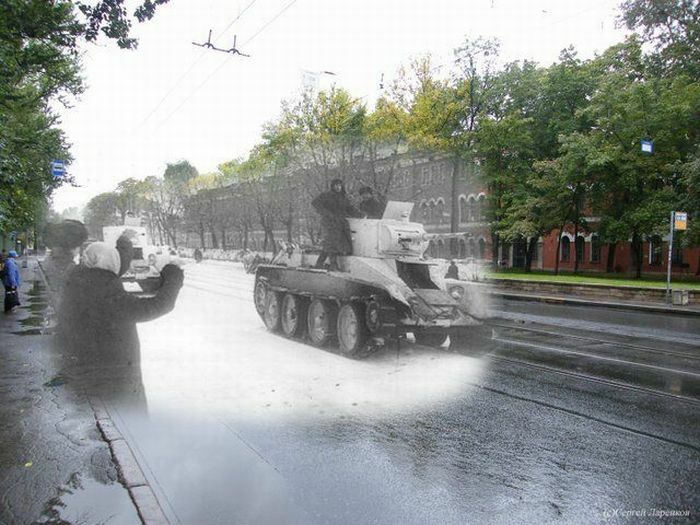 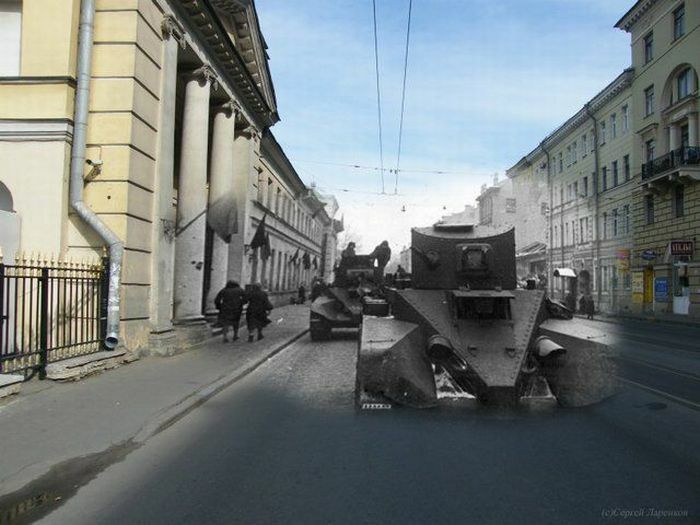 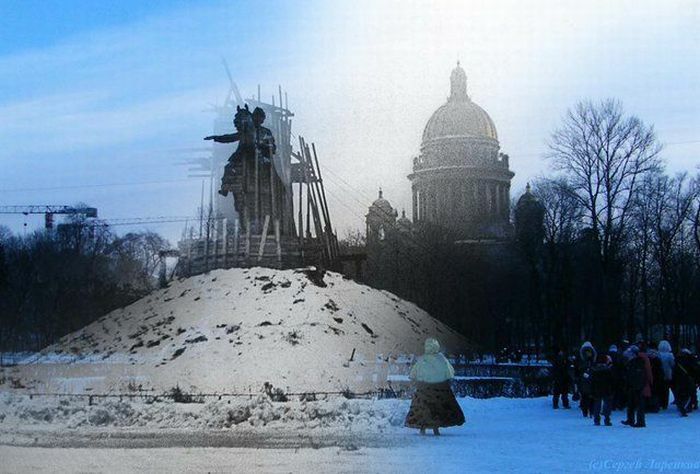 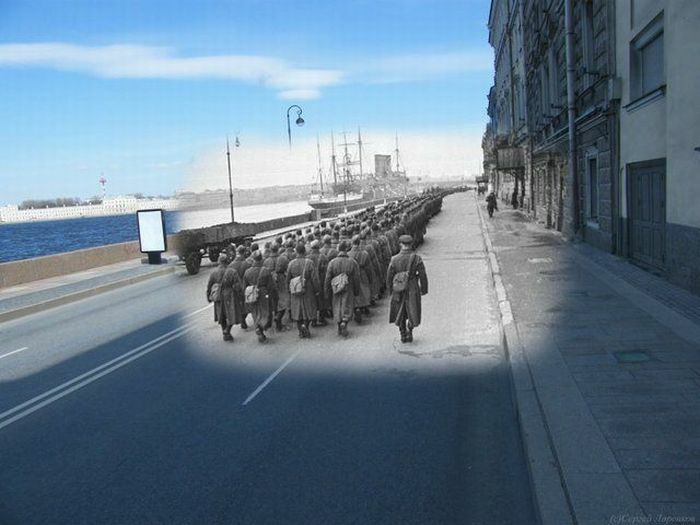 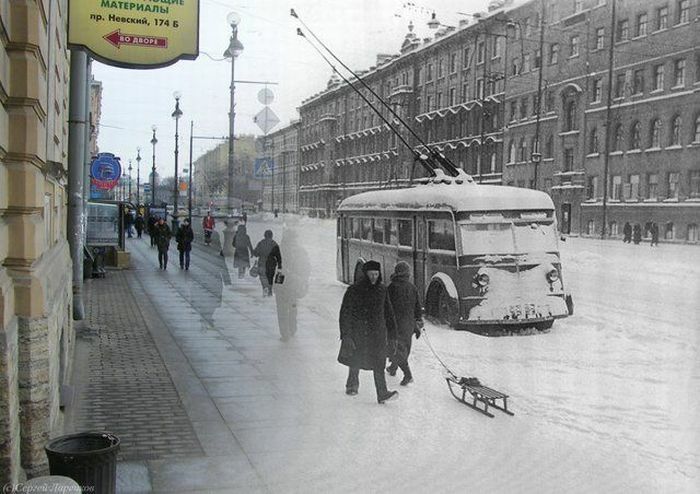 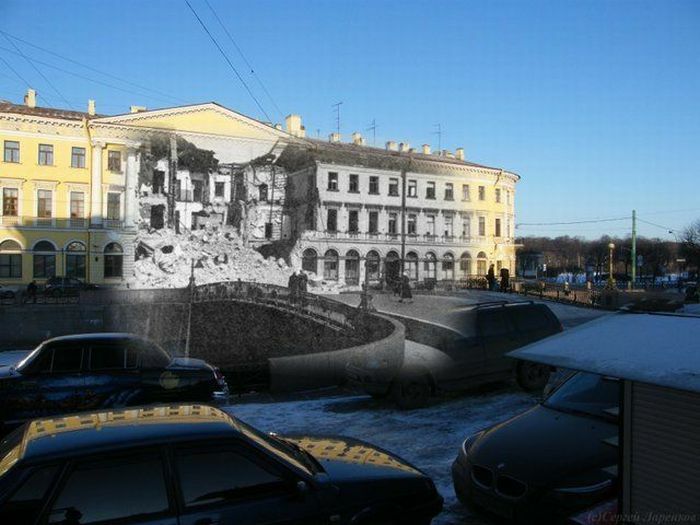 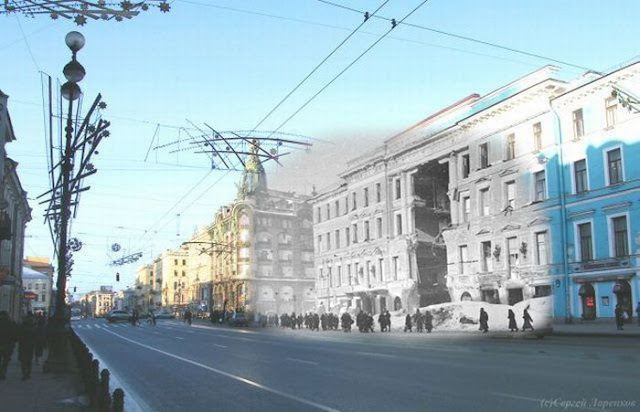 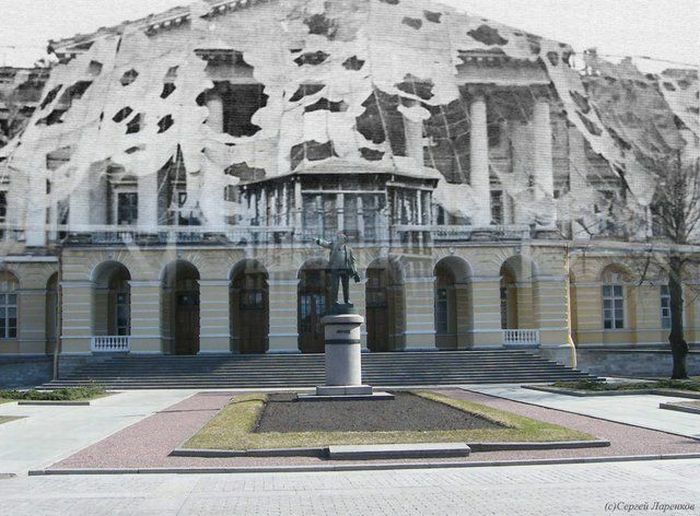 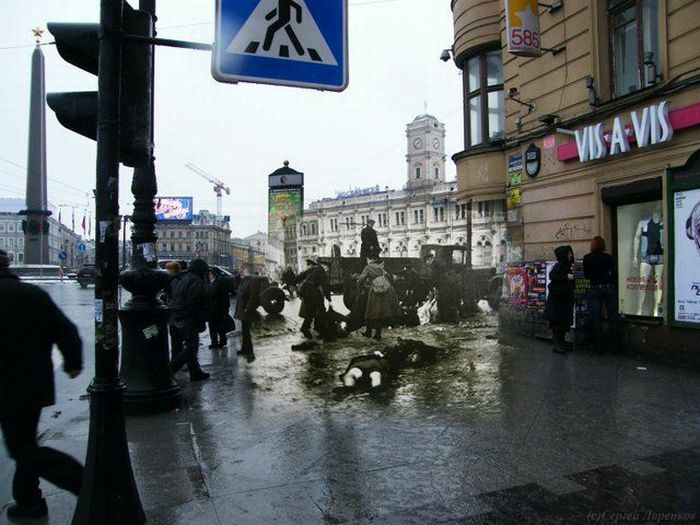 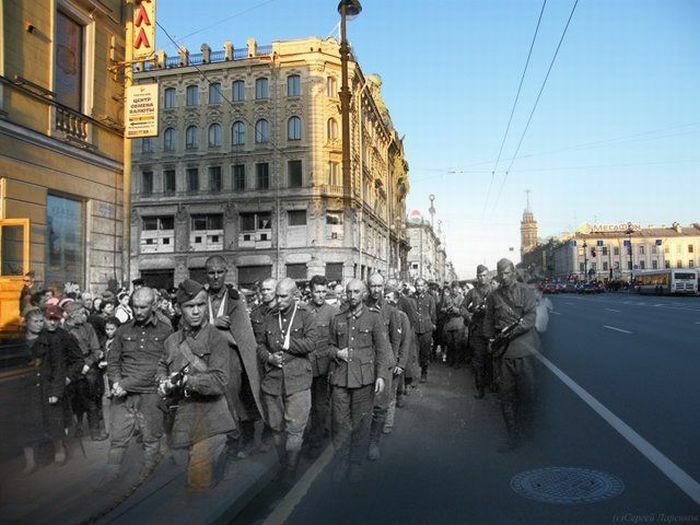 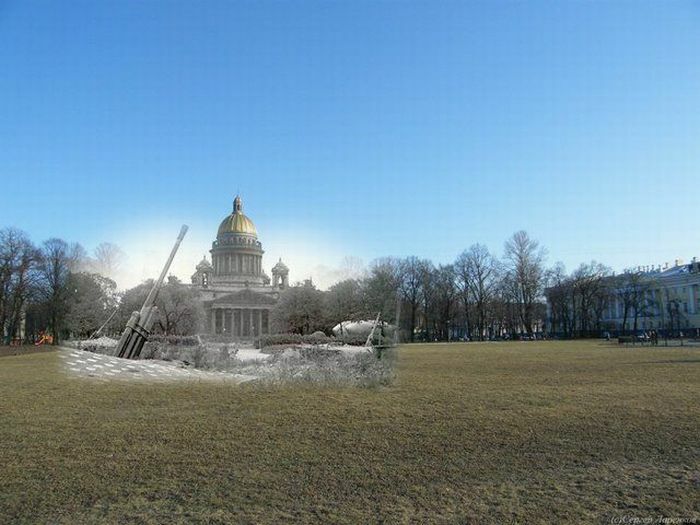 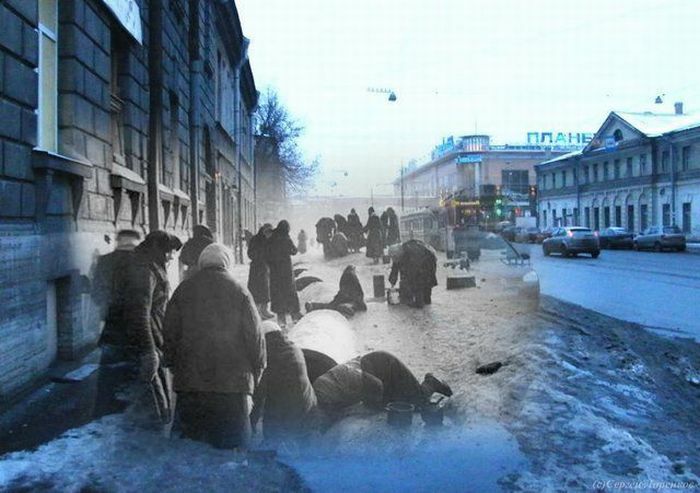 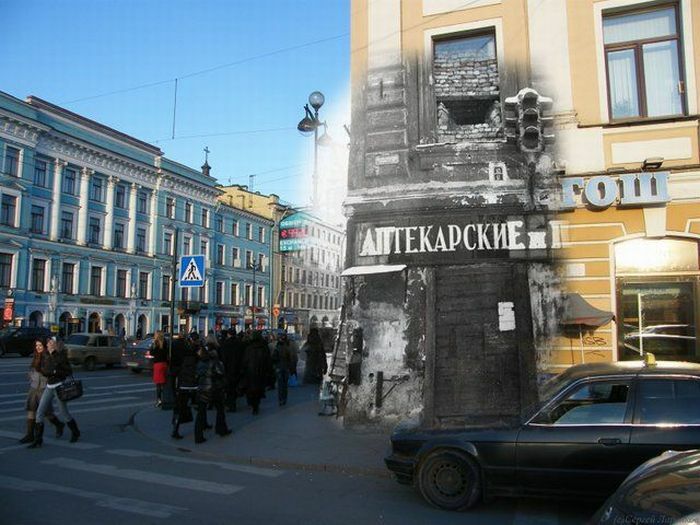 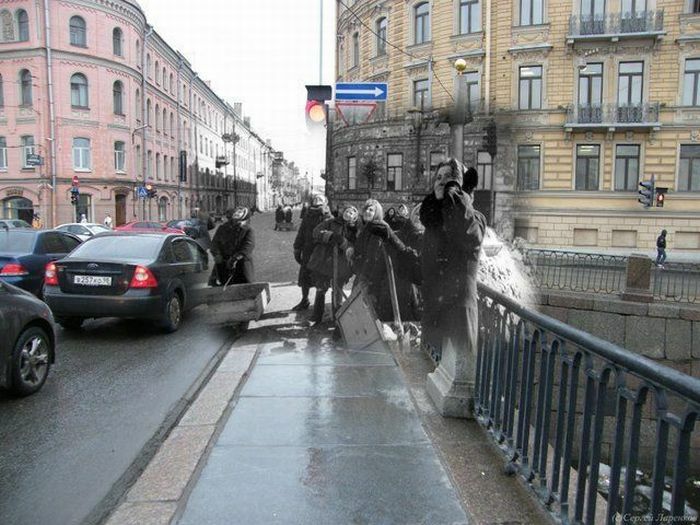 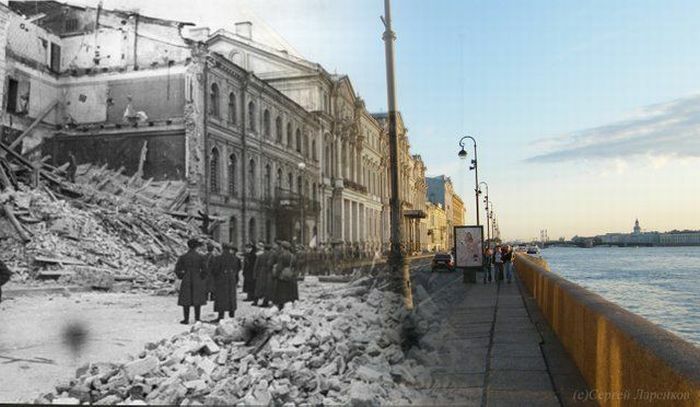 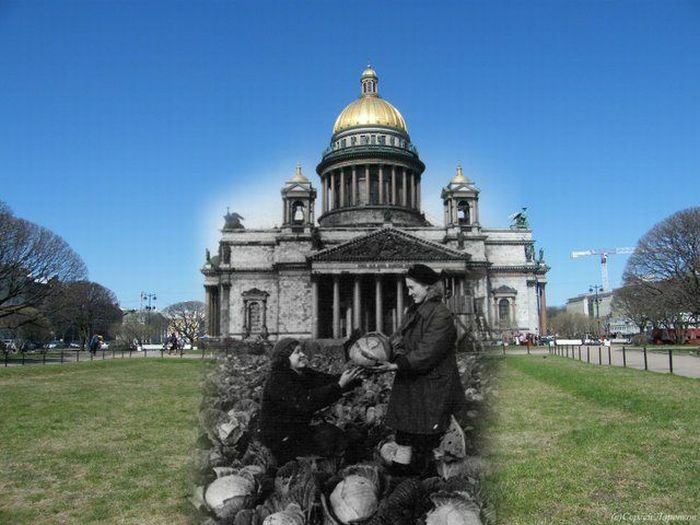 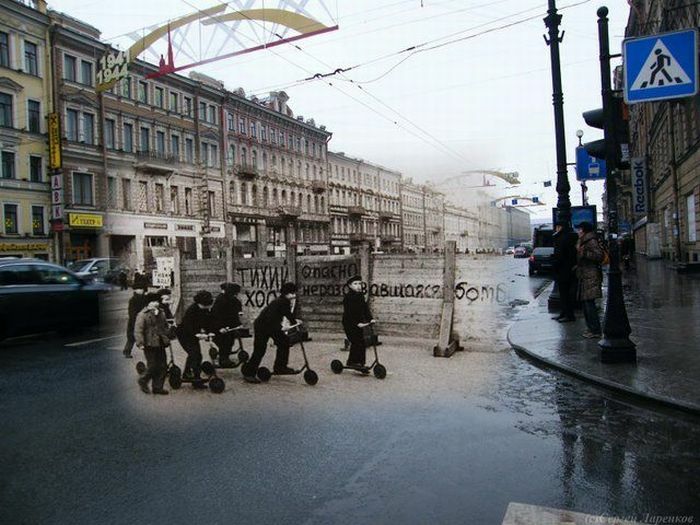 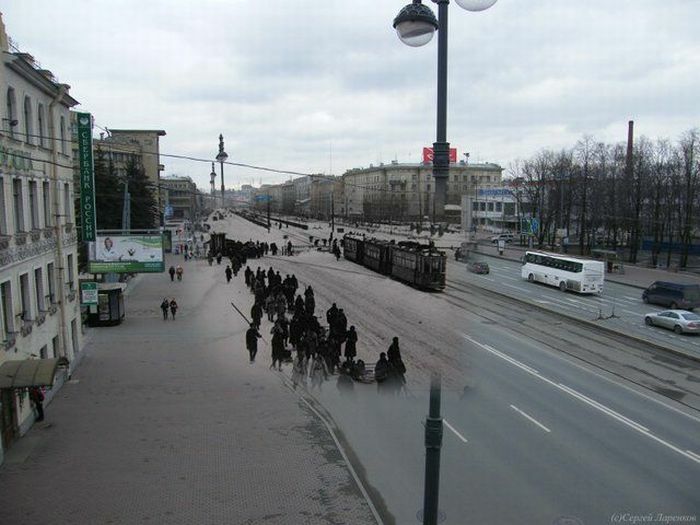 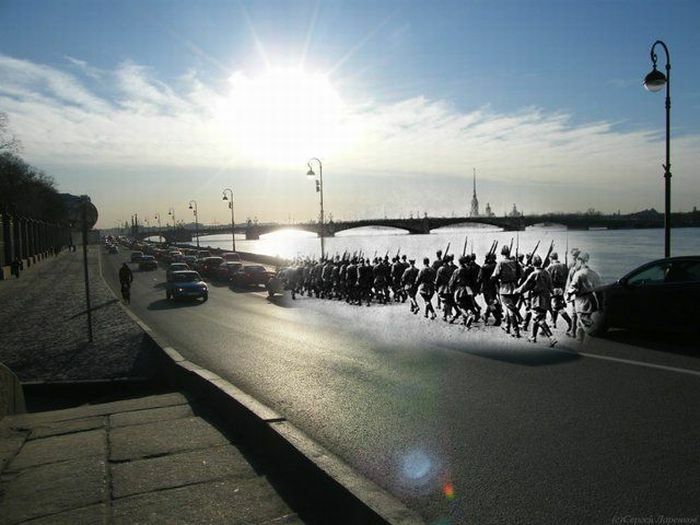 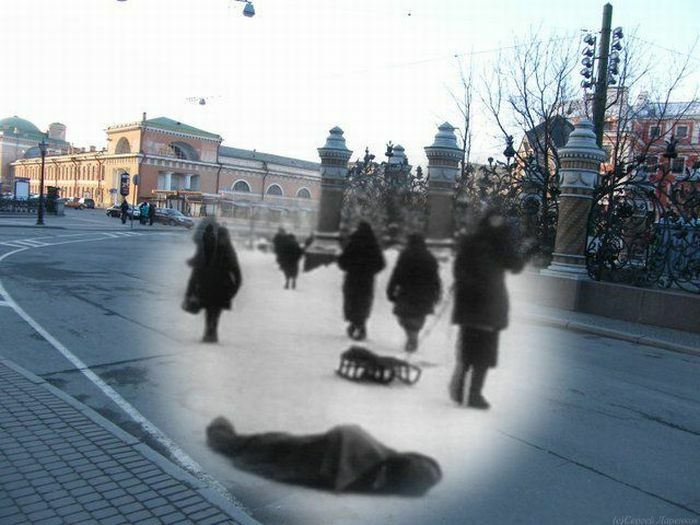 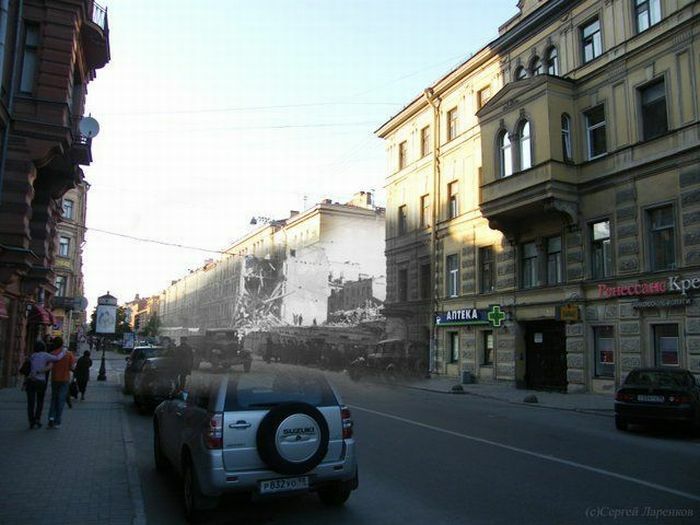 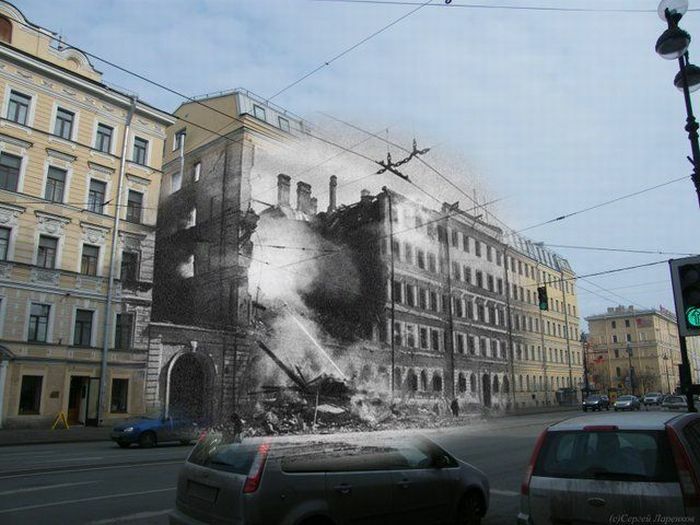 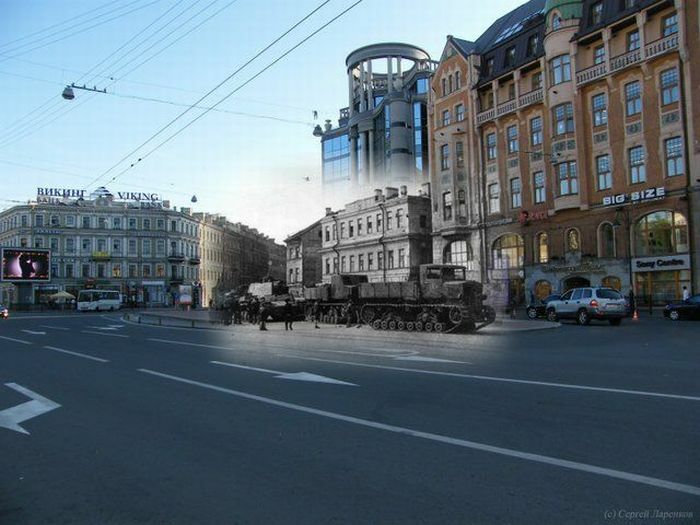 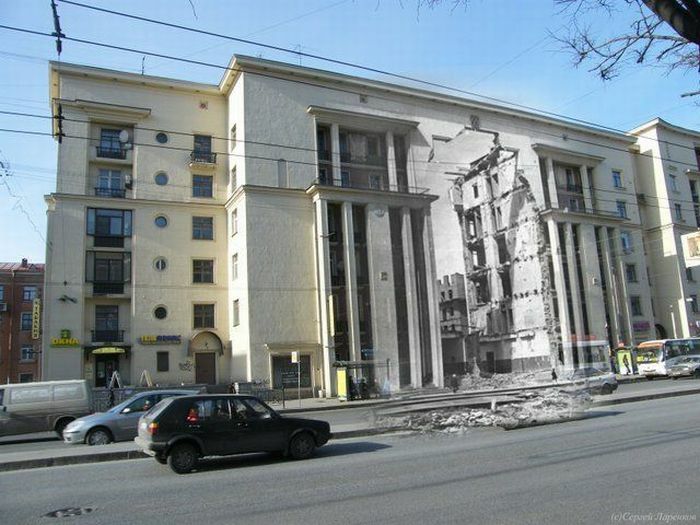 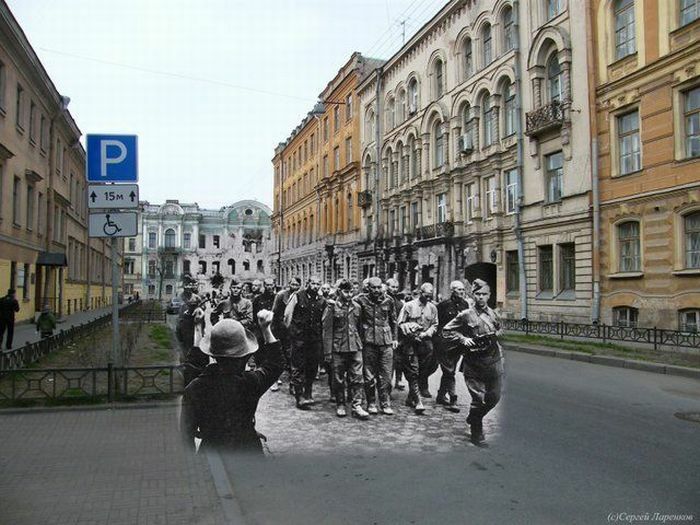 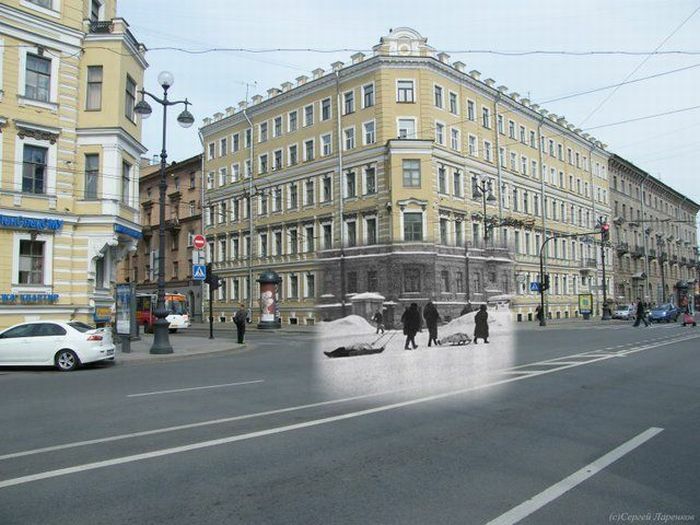 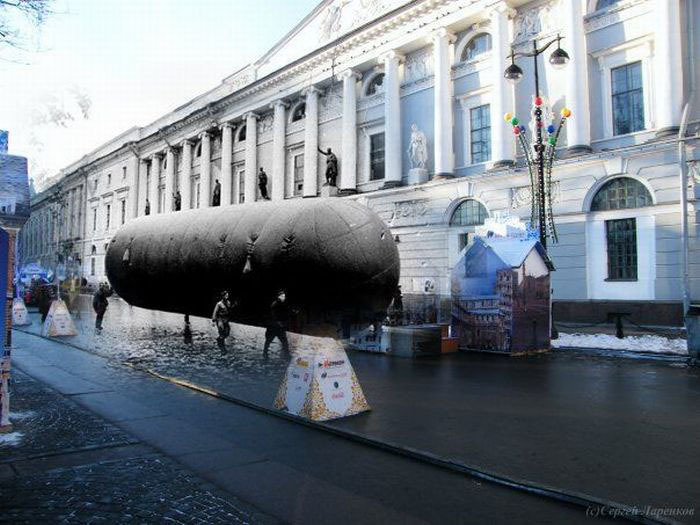 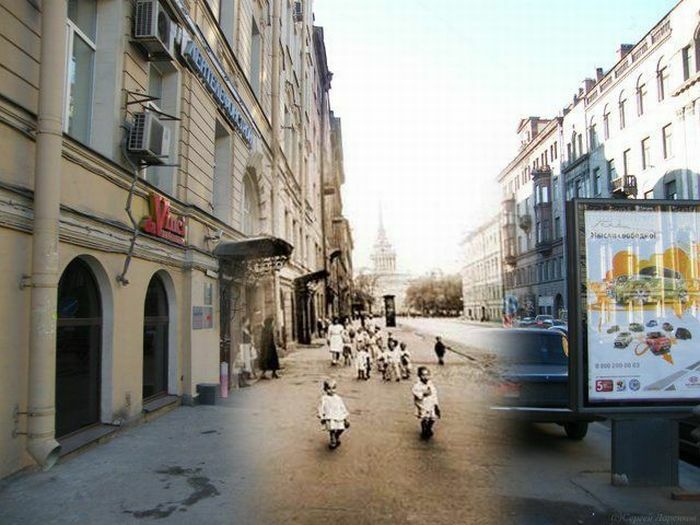 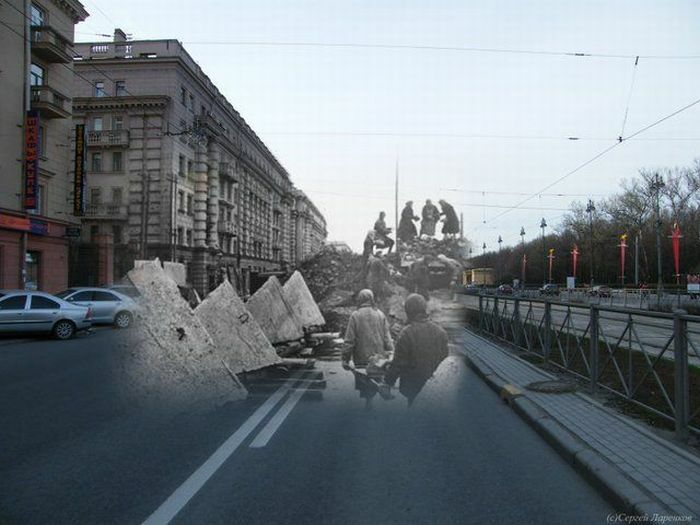 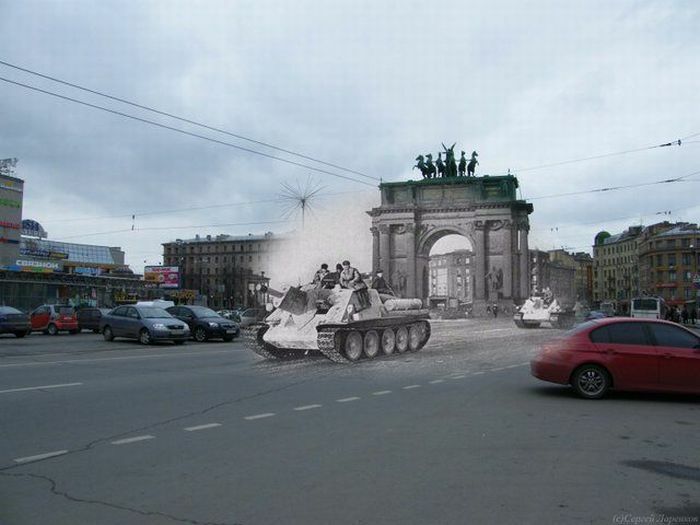 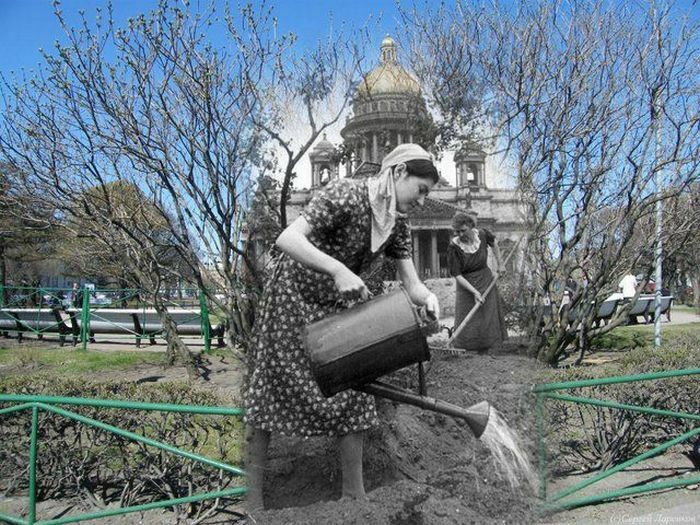 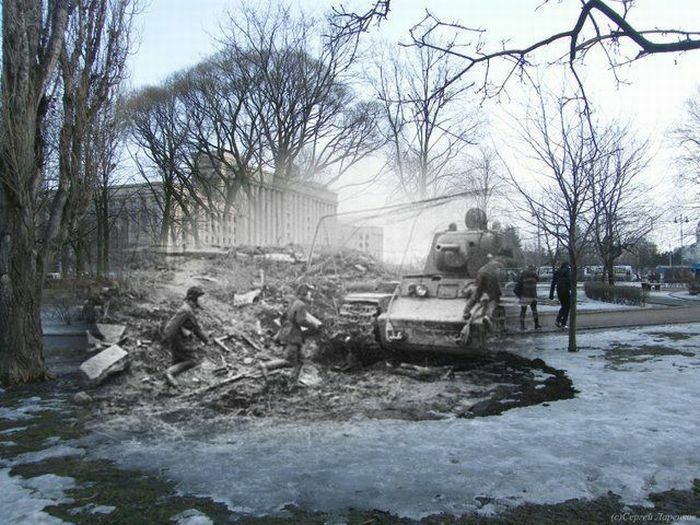 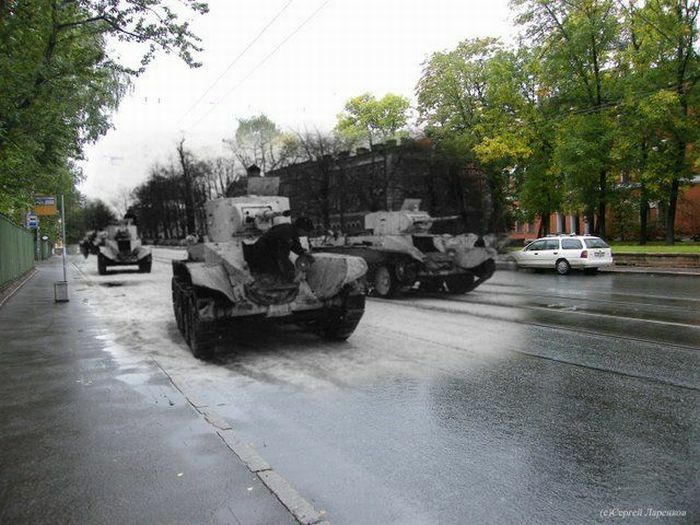 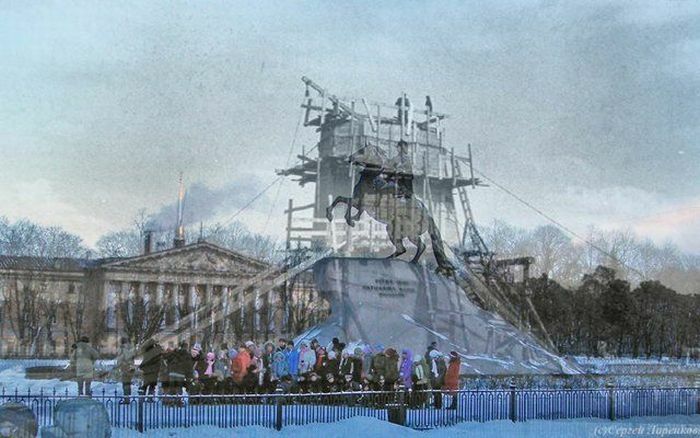 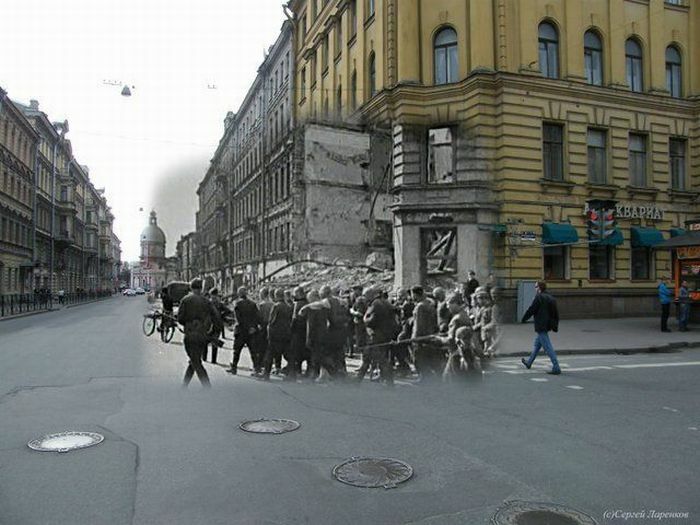 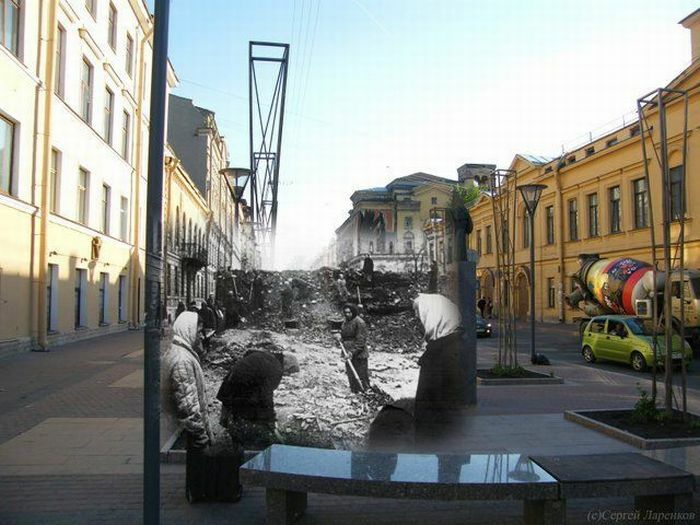 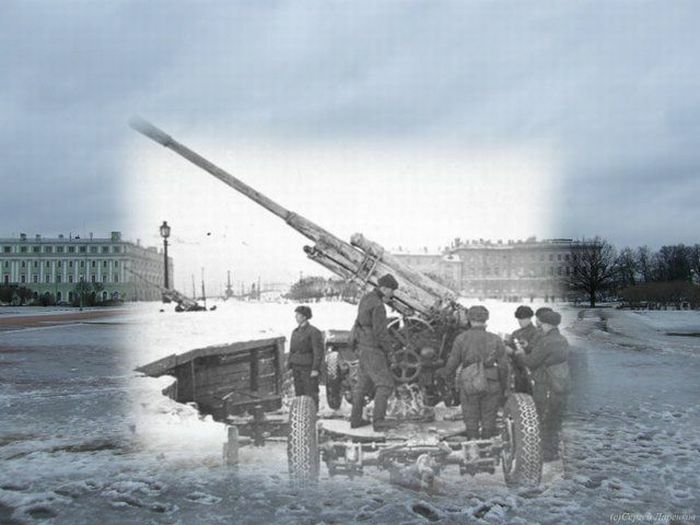 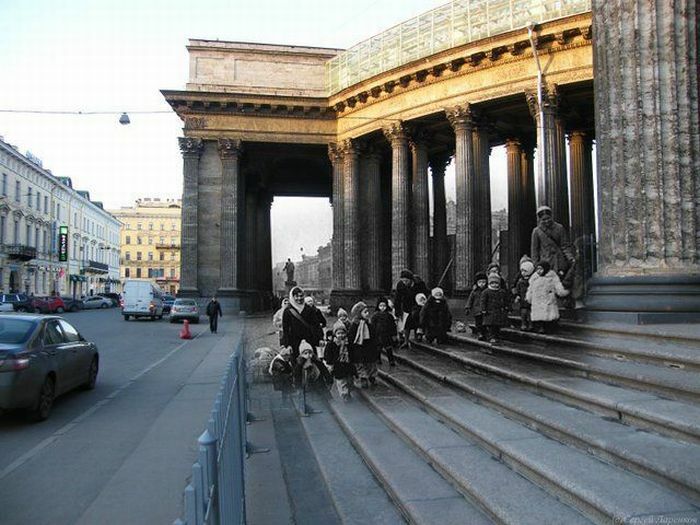 1 response to "THEN AND NOW LENINGRAD BLOCKADE (115 Pics)"